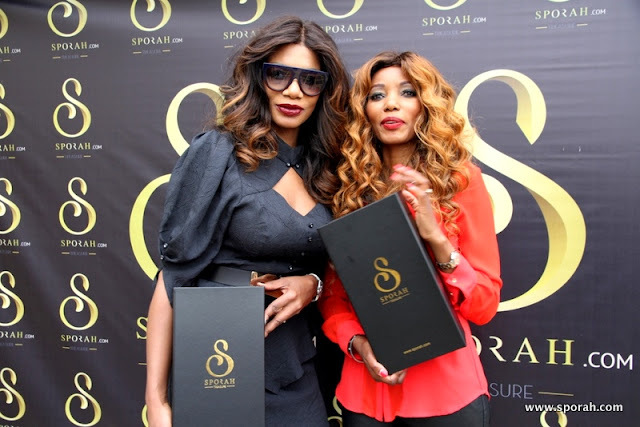 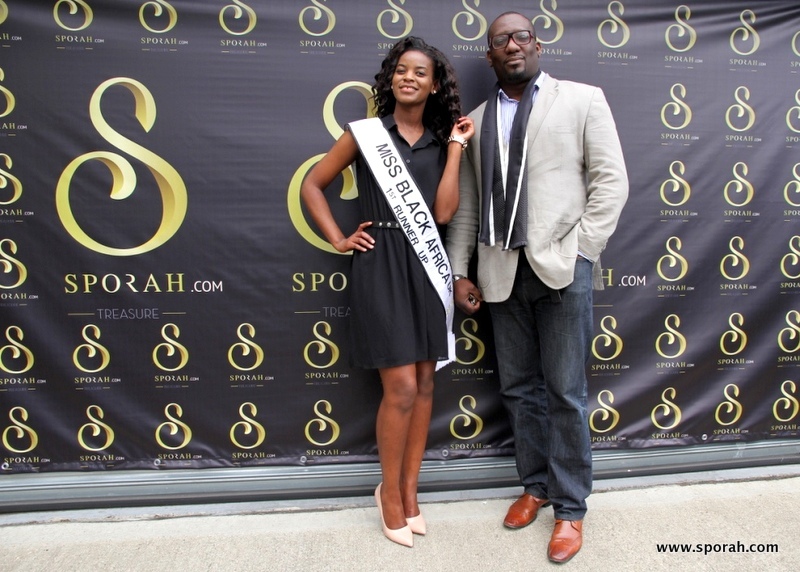 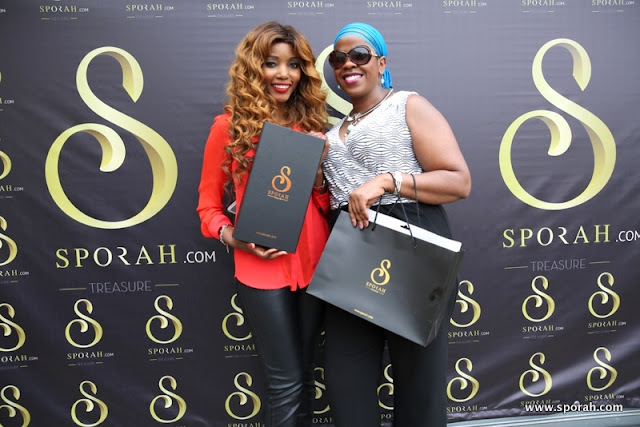 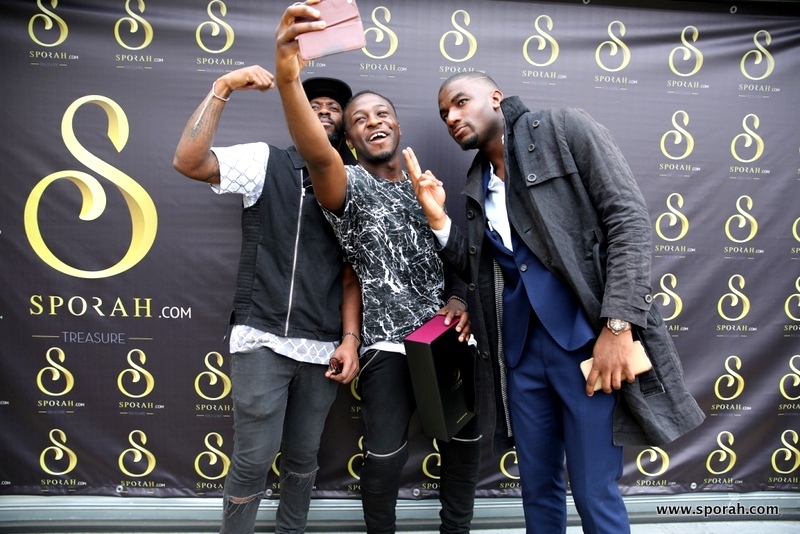 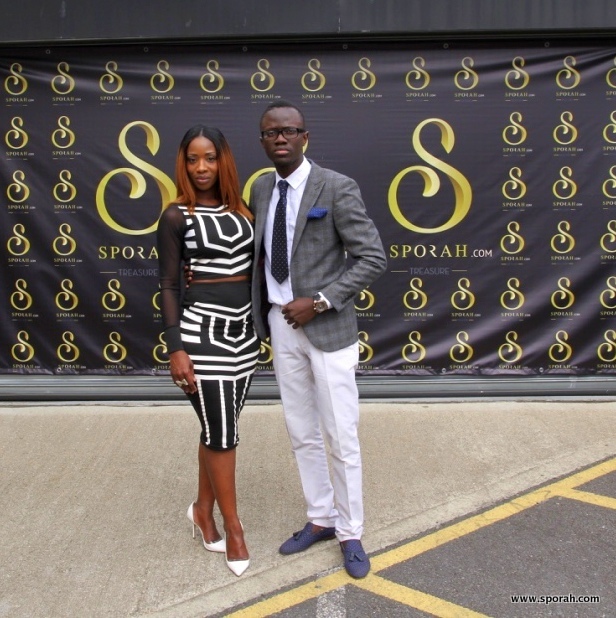 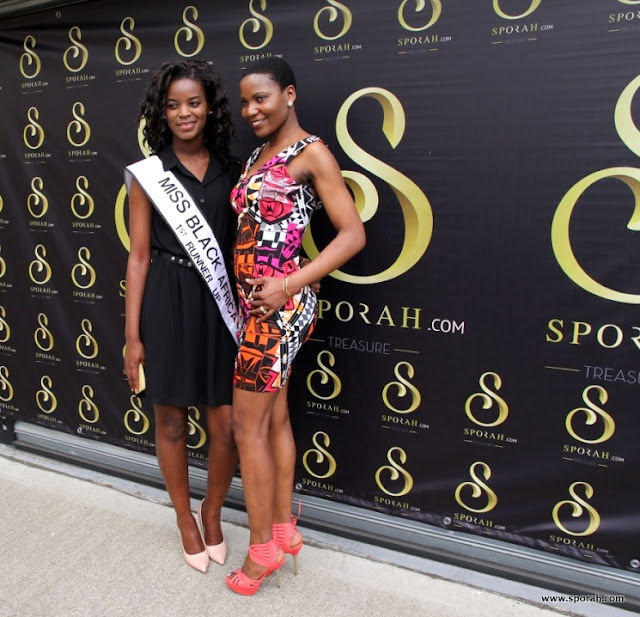 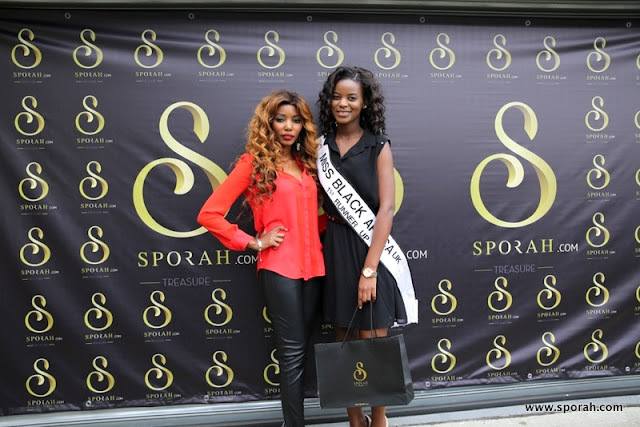 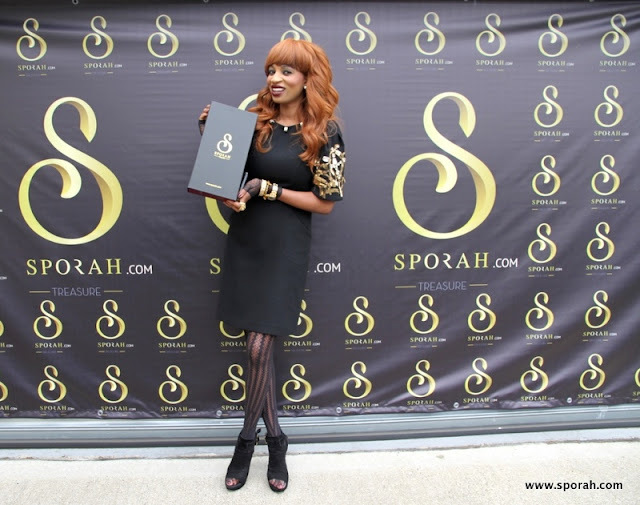 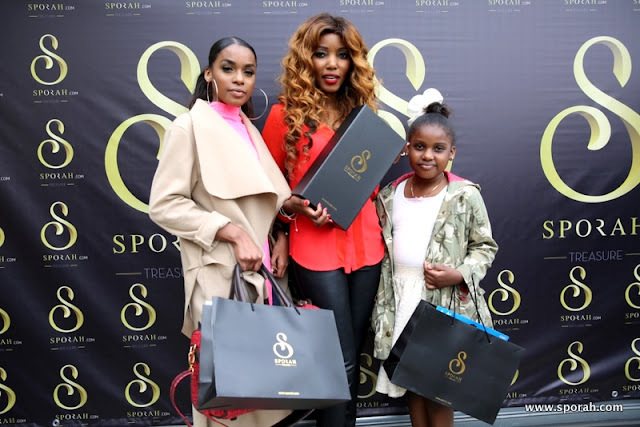 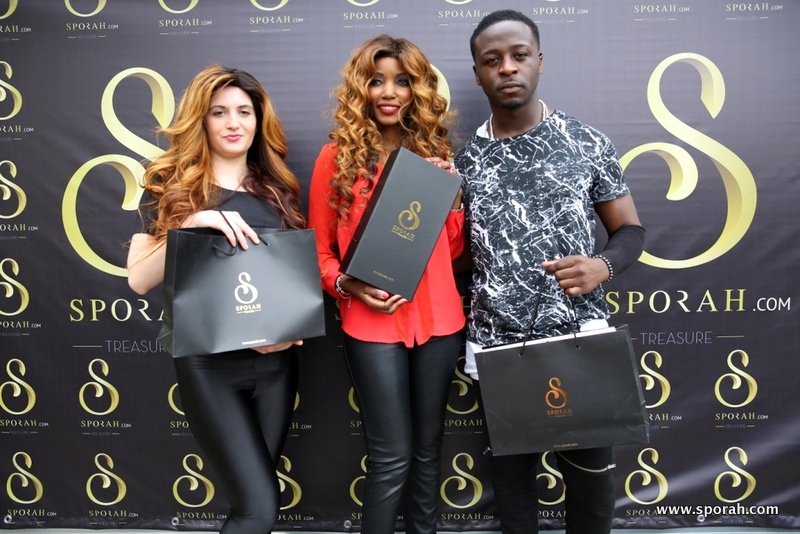 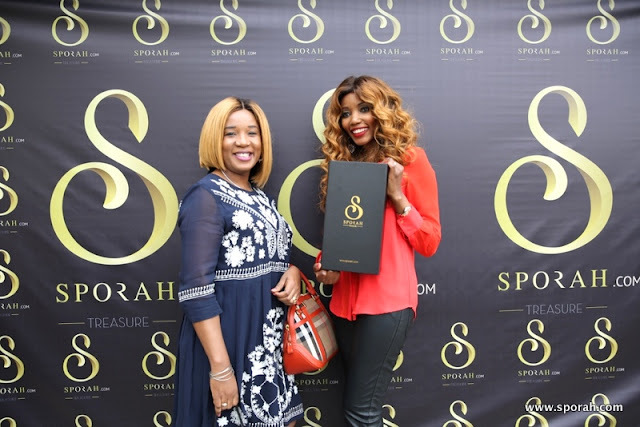 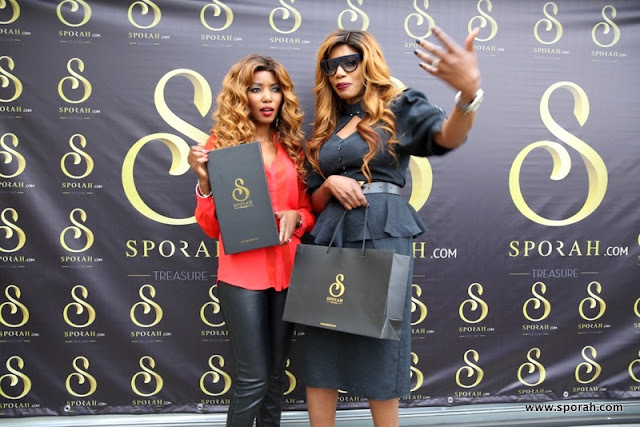 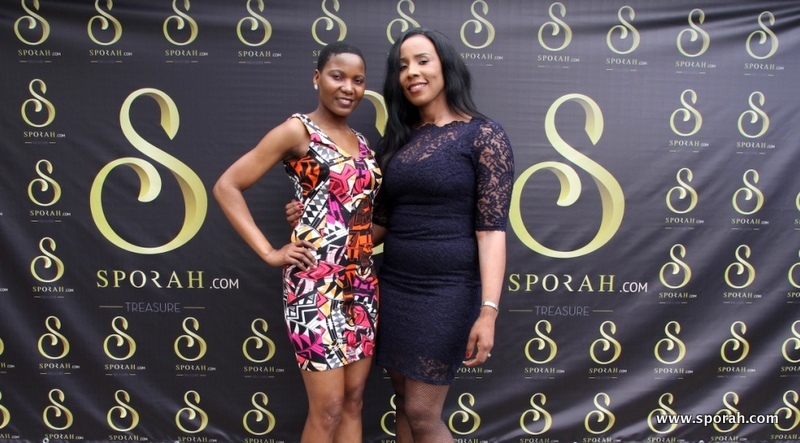 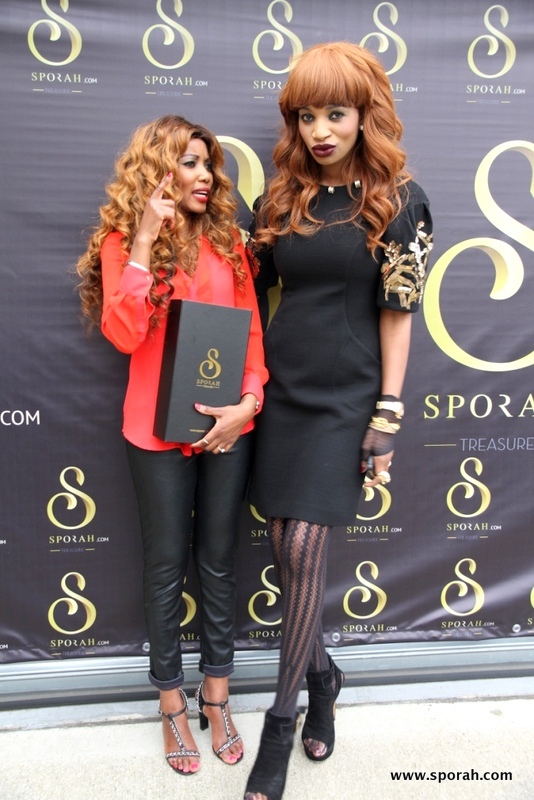 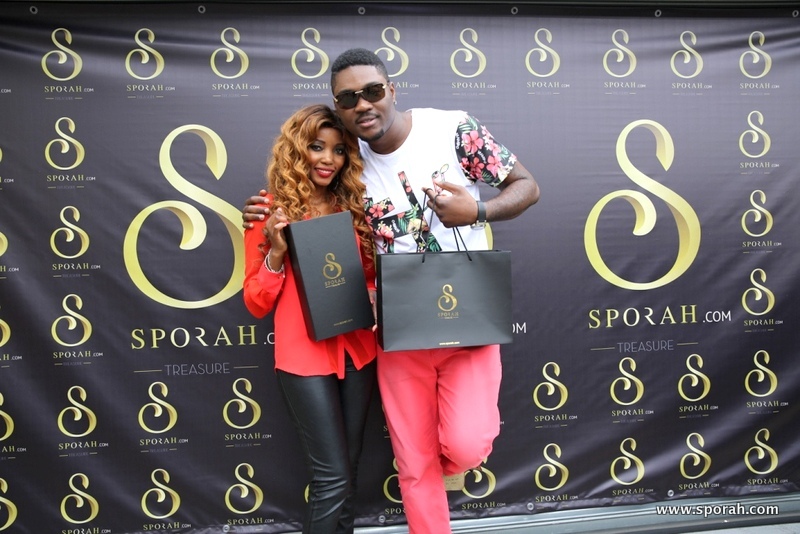 SPORAH TV: THE GRAND LAUNCH OF SPORAH TREASURE! 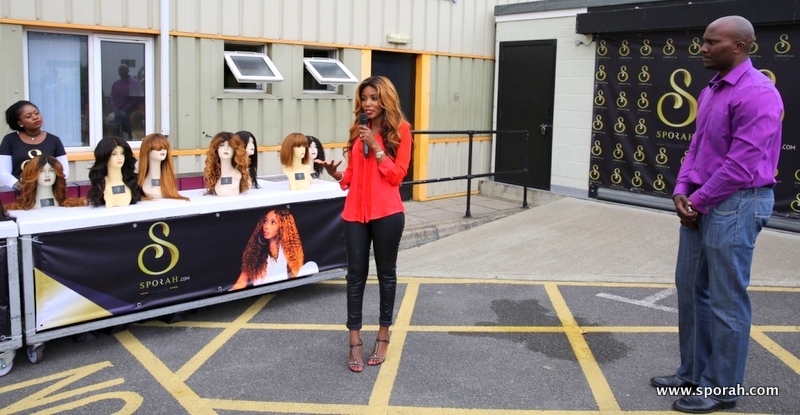 Brand New, Premium Quality Hair. 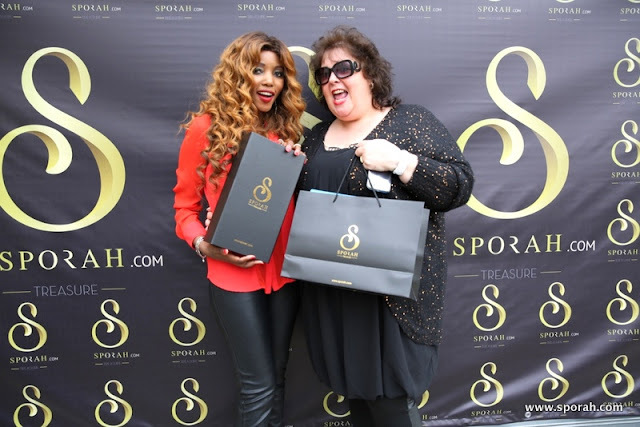 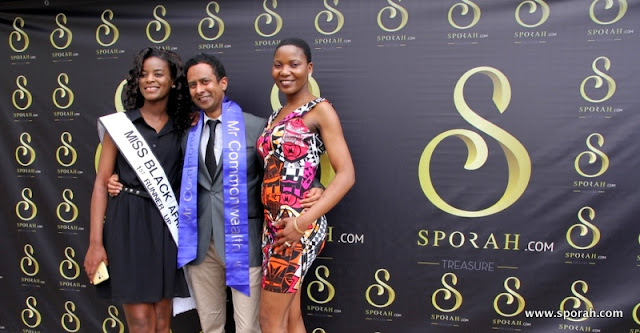 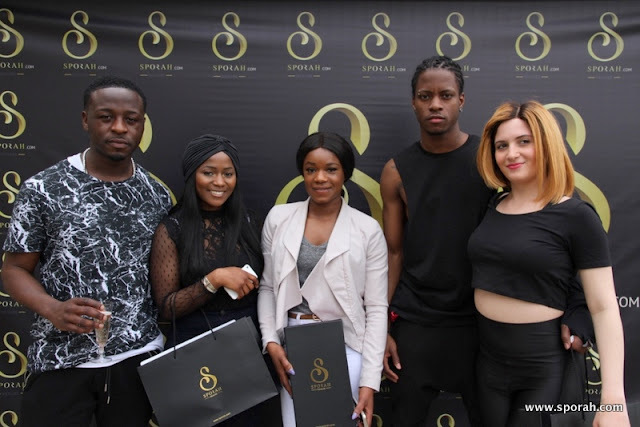 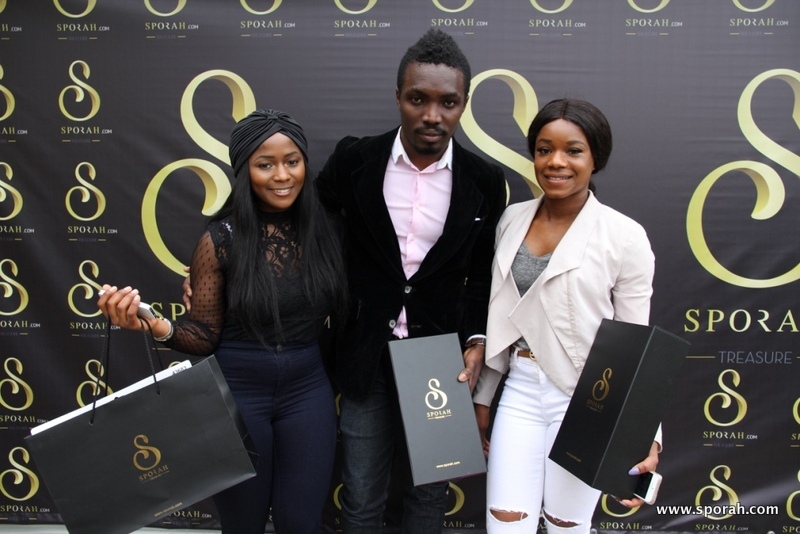 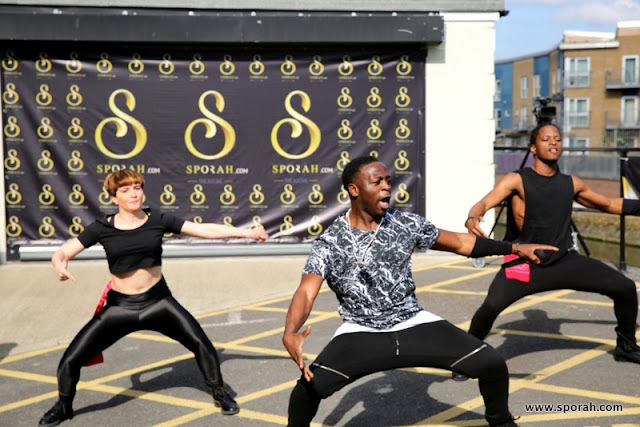 THE GRAND LAUNCH OF SPORAH TREASURE! 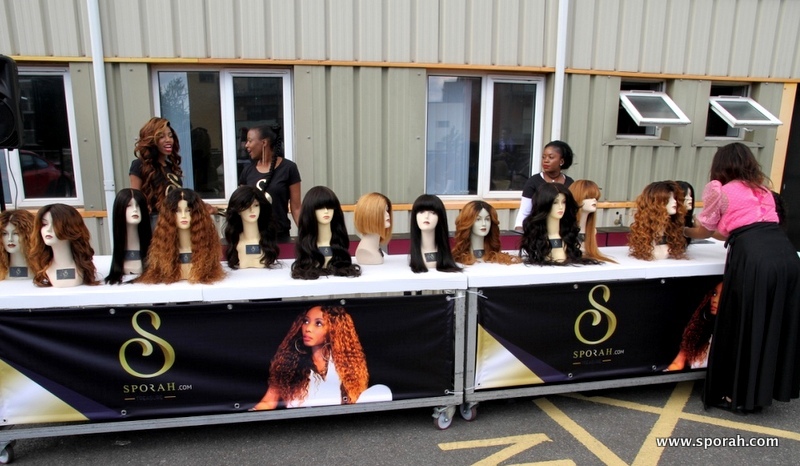 Brand New, Premium Quality Hair. IT'S SPORAH CUSTOM HANDMADE WIGS... Finest Quality Handmade Custom Made Wig In Any Shade Or Length To Suit Your Style. 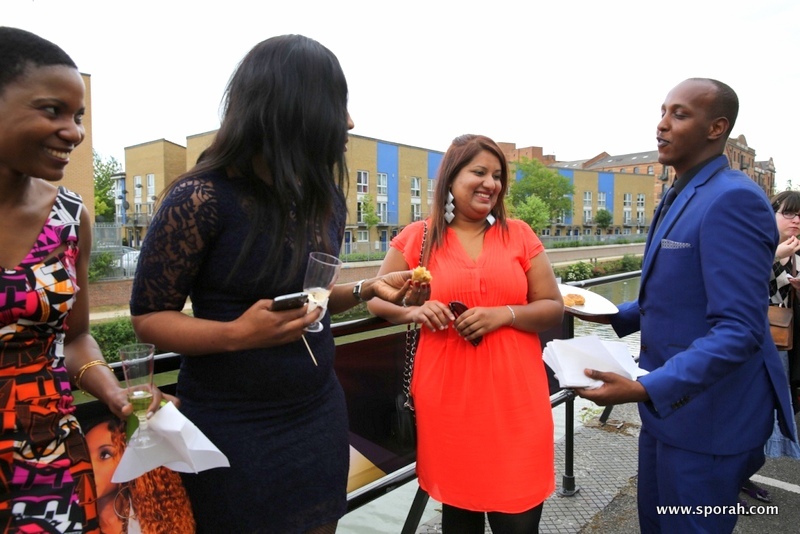 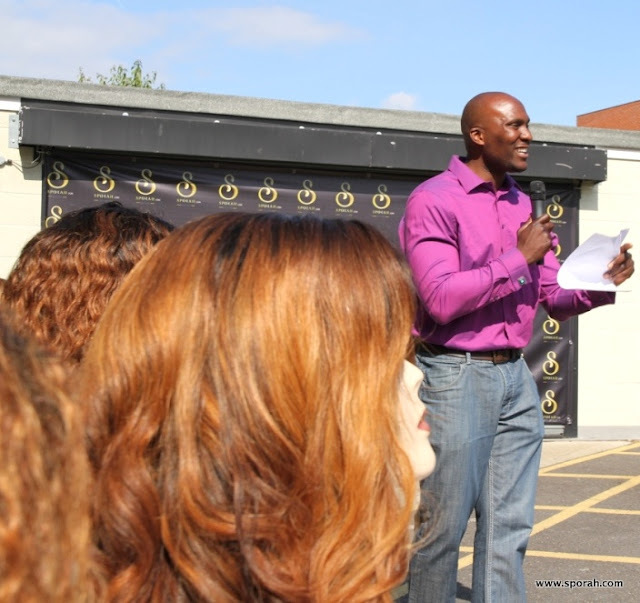 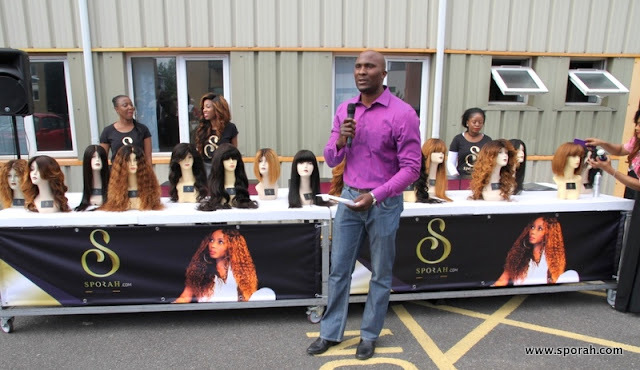 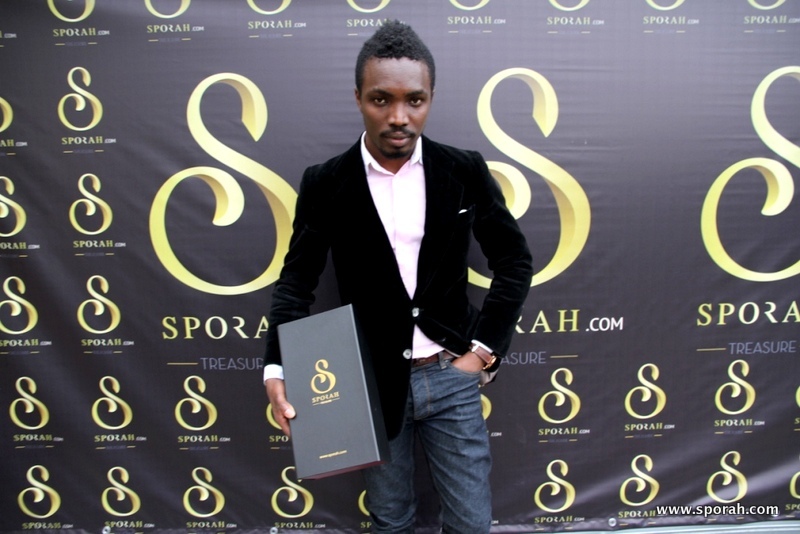 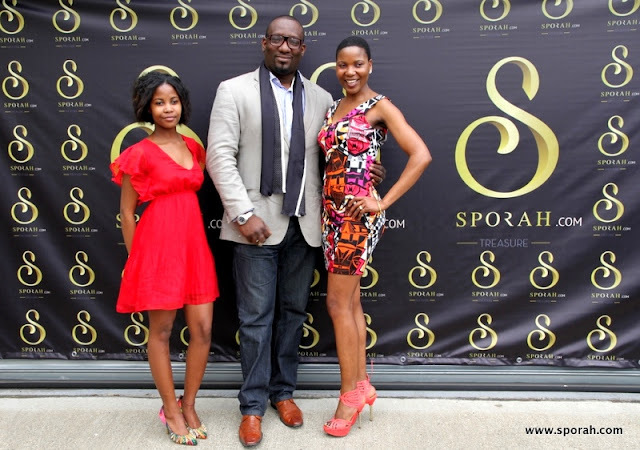 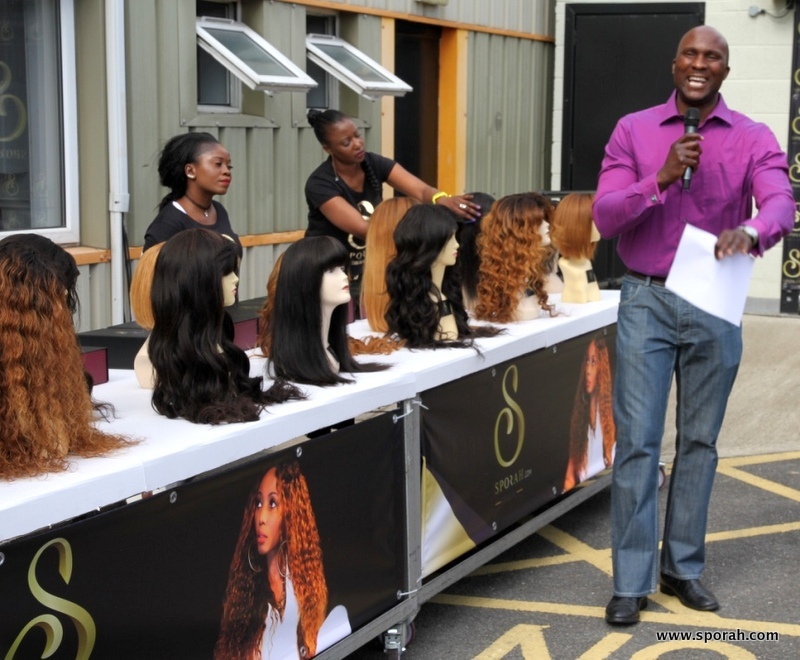 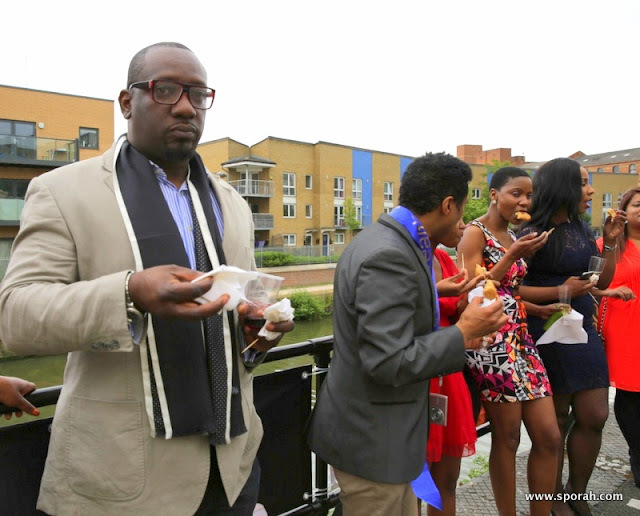 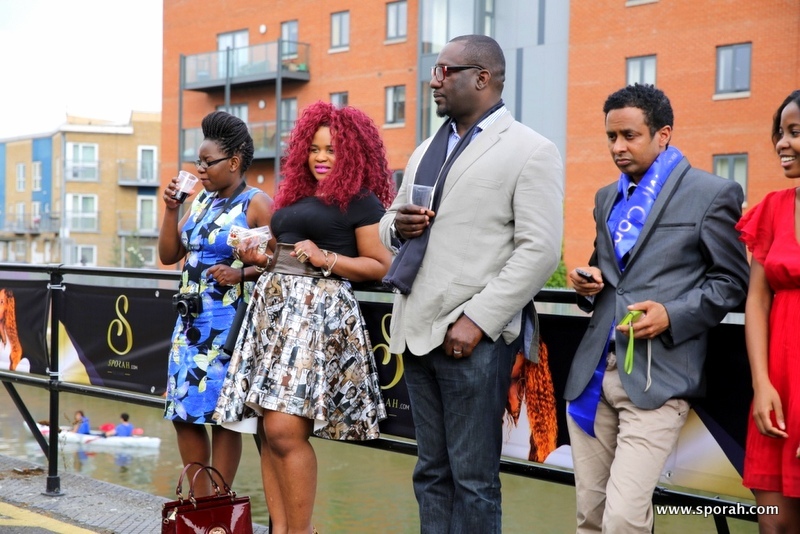 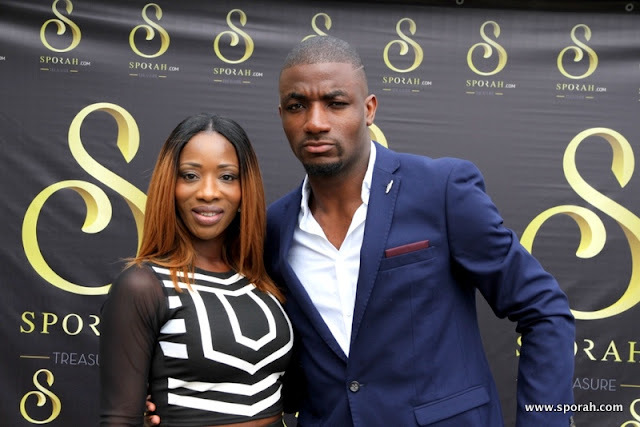 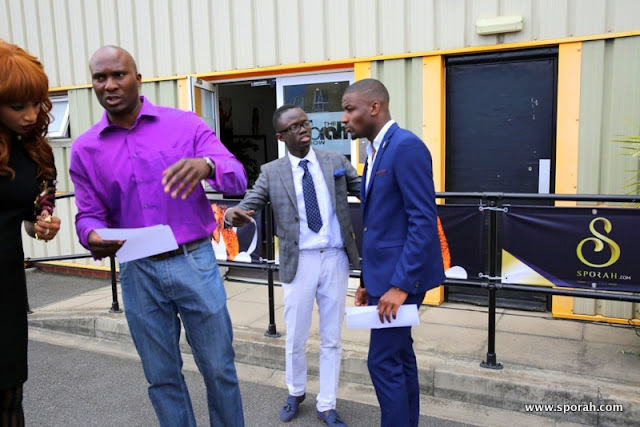 Meet the host at the Sporah Treasure Launch, Award winning Voxafrica UK Sports 360 Presenter Mr. Adesope Olajide. 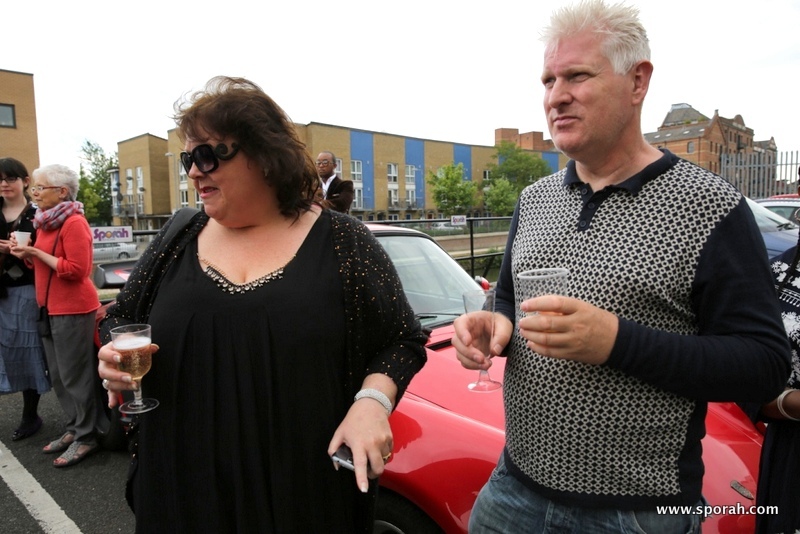 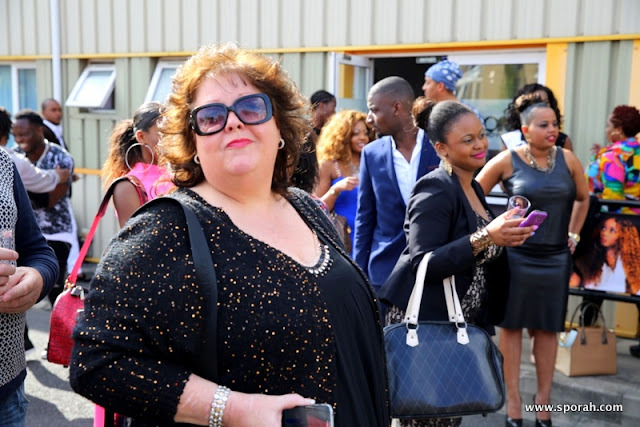 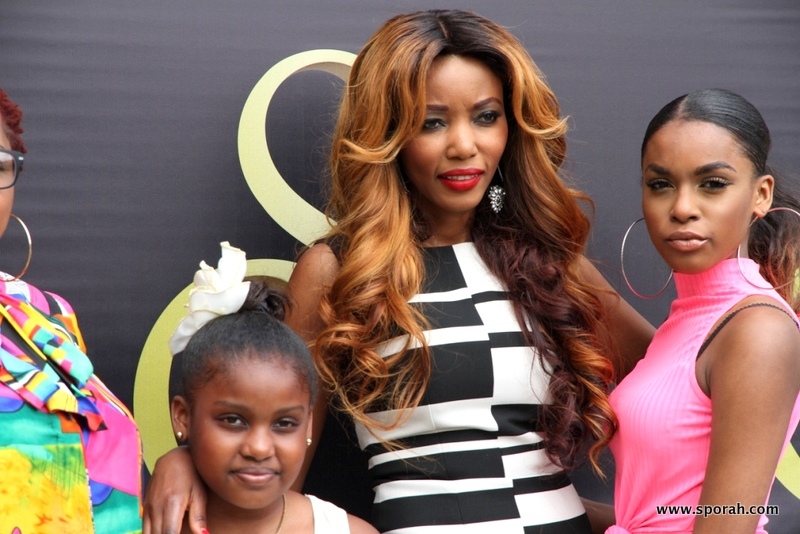 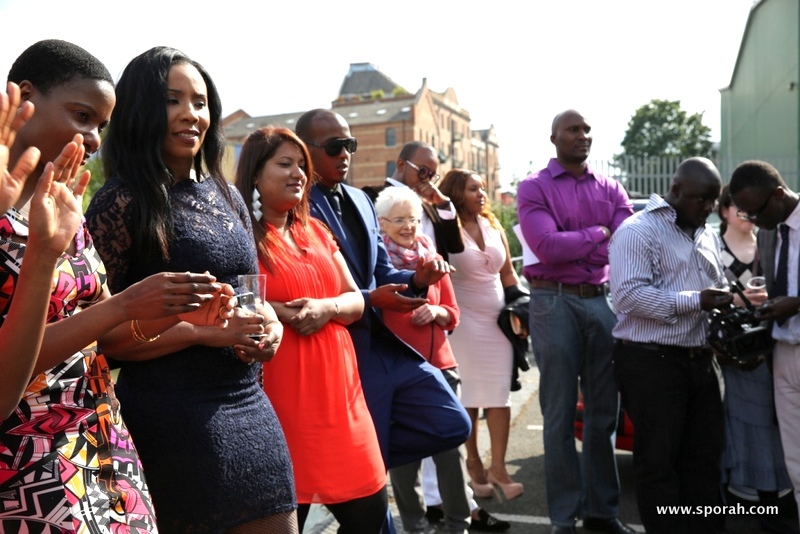 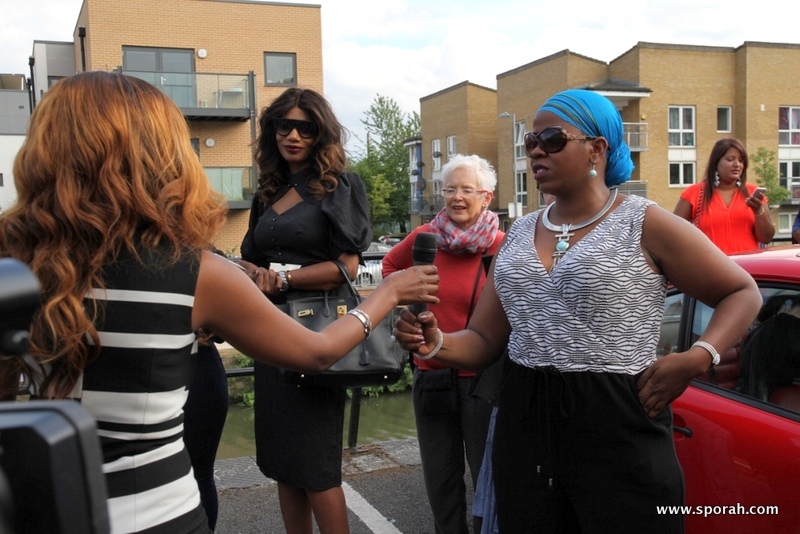 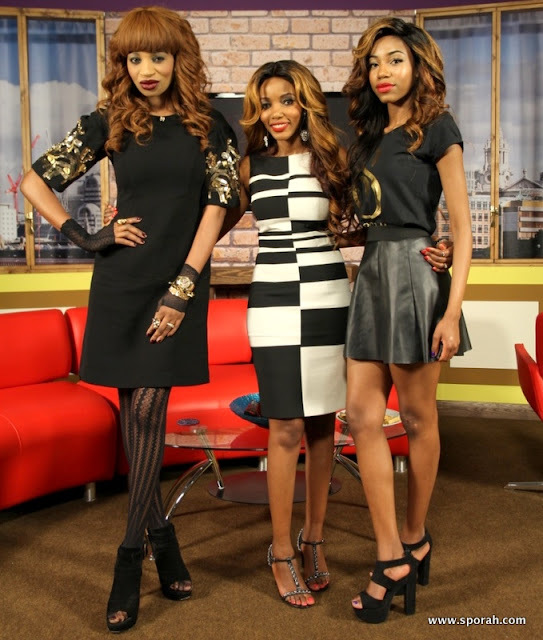 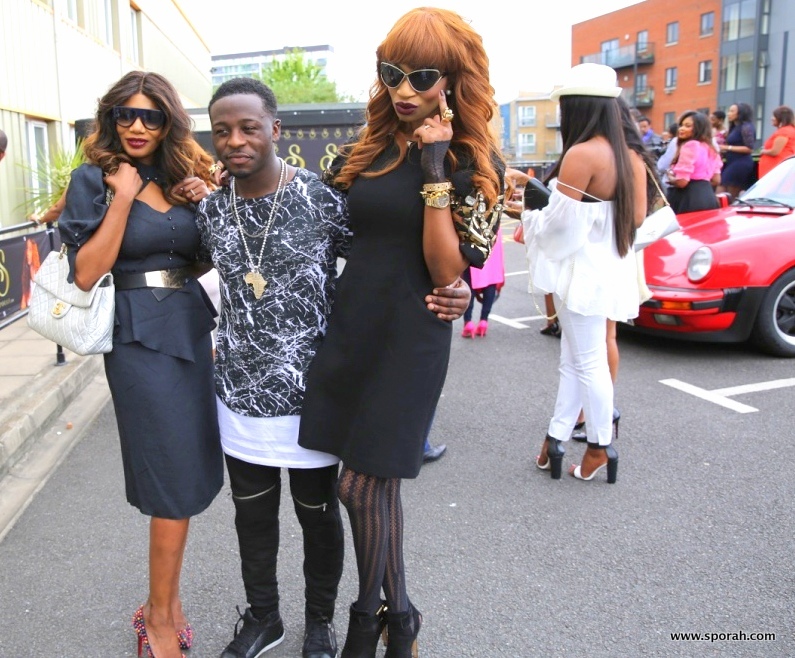 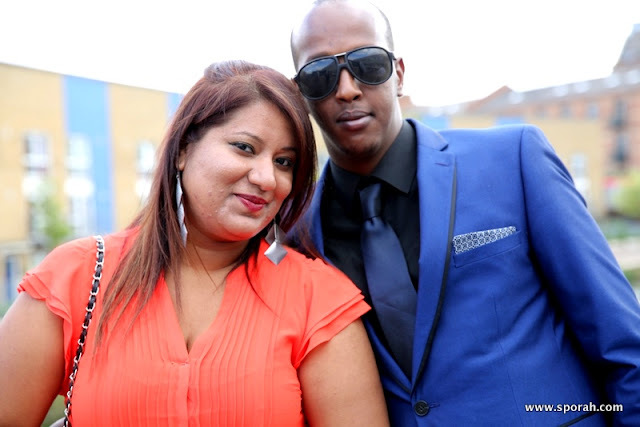 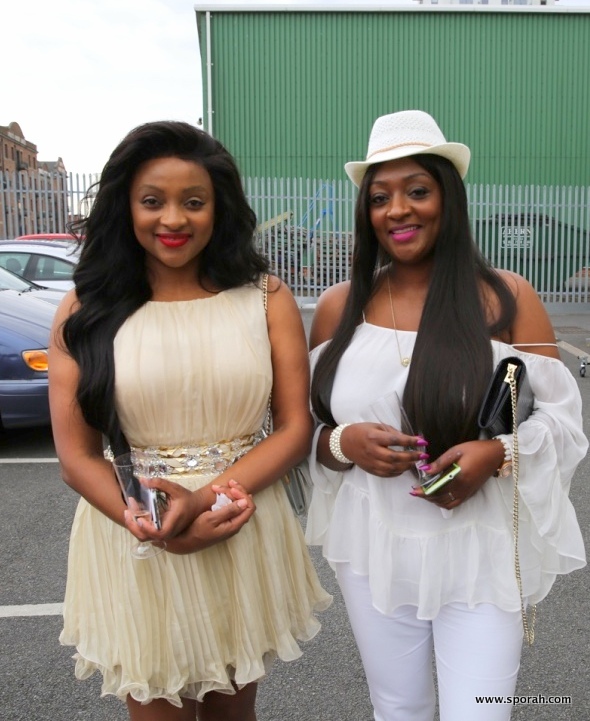 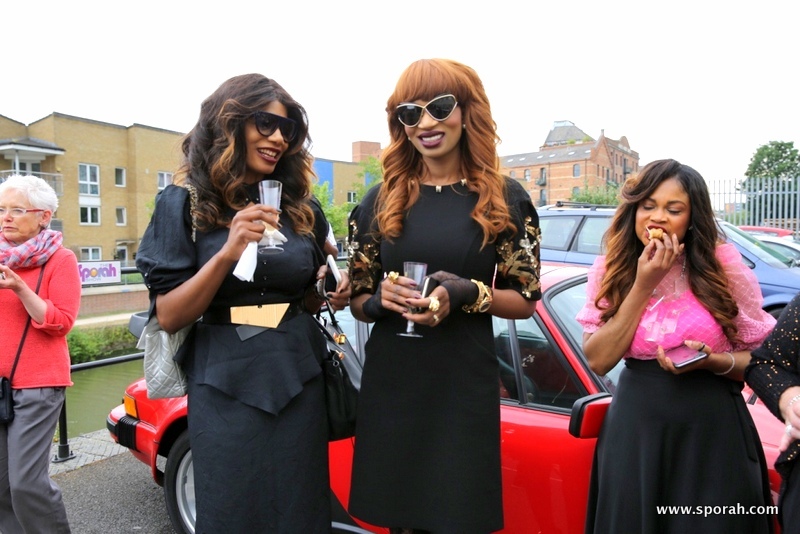 Meet the Co-Host, The Former model Irene Major and the wife of Canadian oil tycoon Sam Mail. 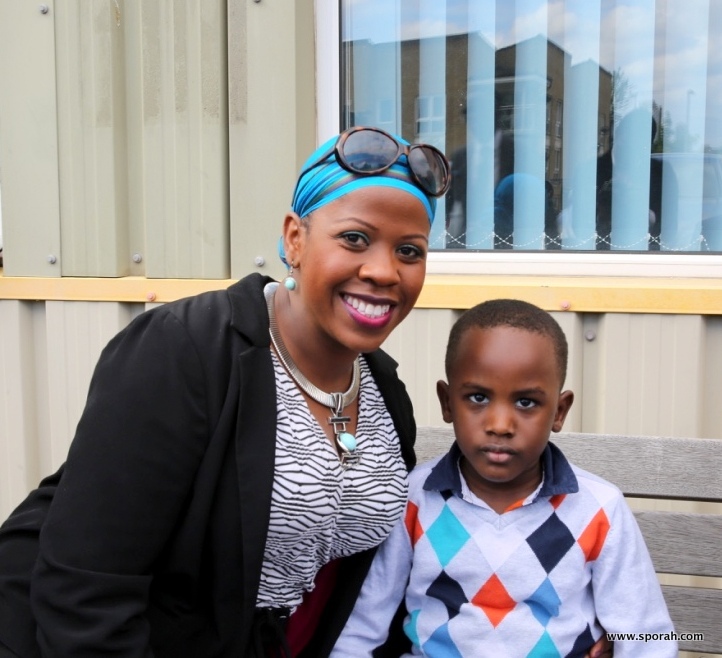 Irene Major and Vox Africa TV presenter Adesope ready for the day. 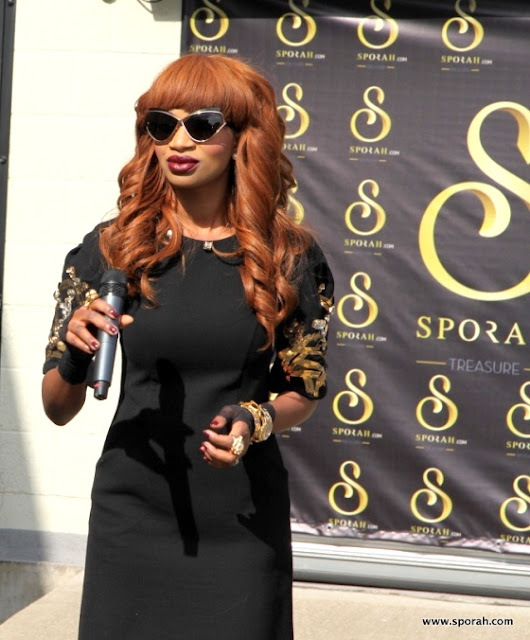 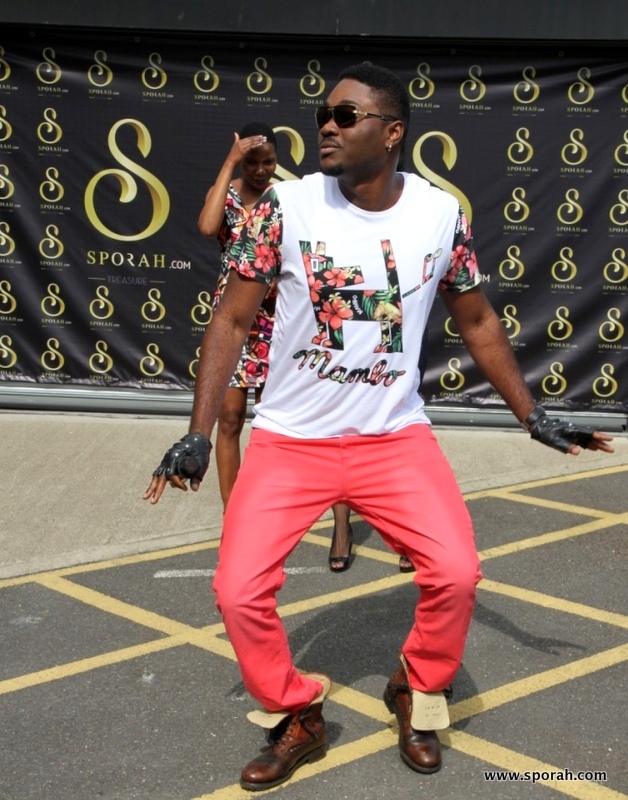 Chipper Inter Performing LIVE at The Sporah Treasure Launch. Team Sporah making sure that everyone is taking care. 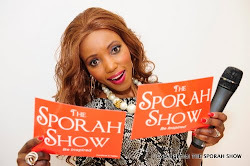 Sporah talking about the Drive behind SPORAH TREASURE. 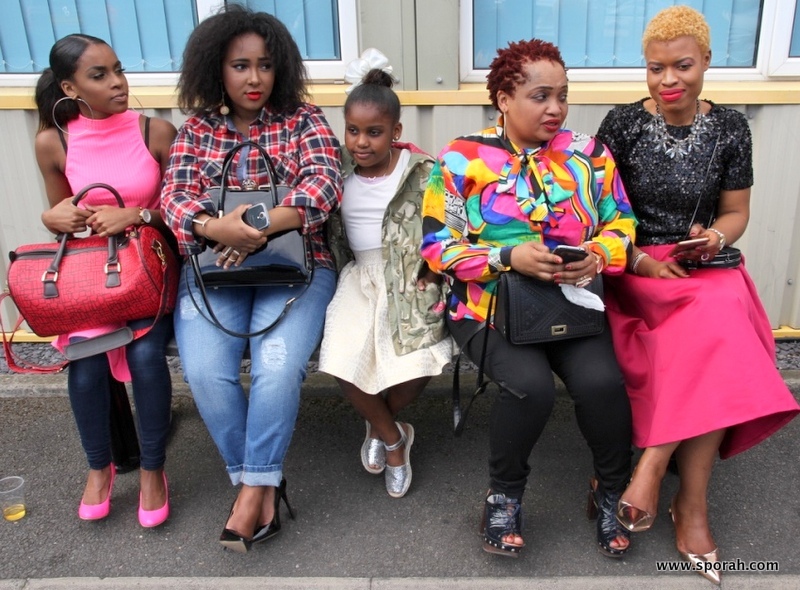 And Irene Major had a question for Sporah "WHY HAIR? 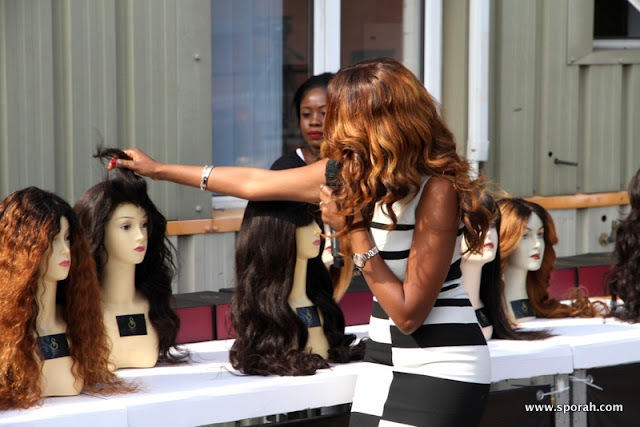 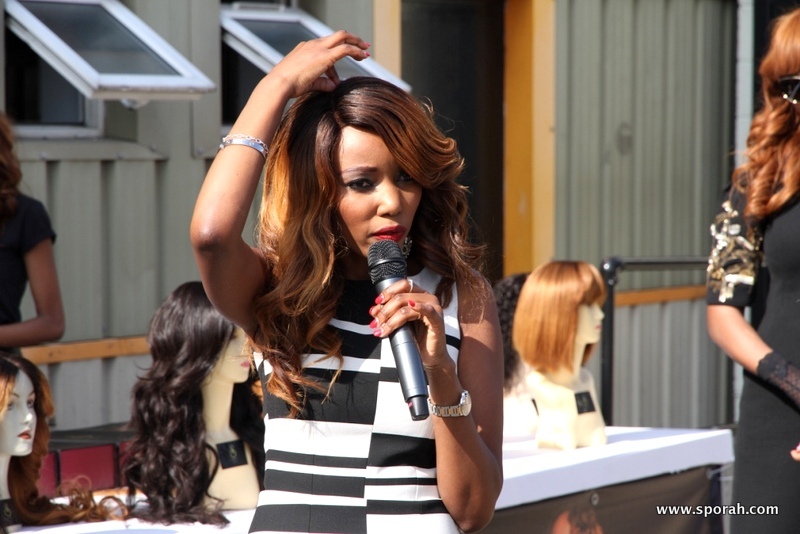 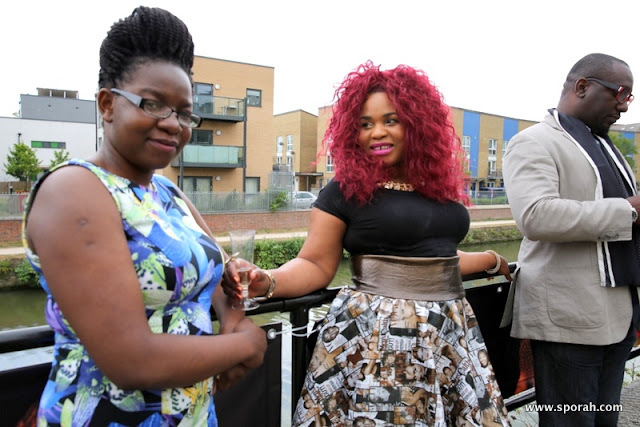 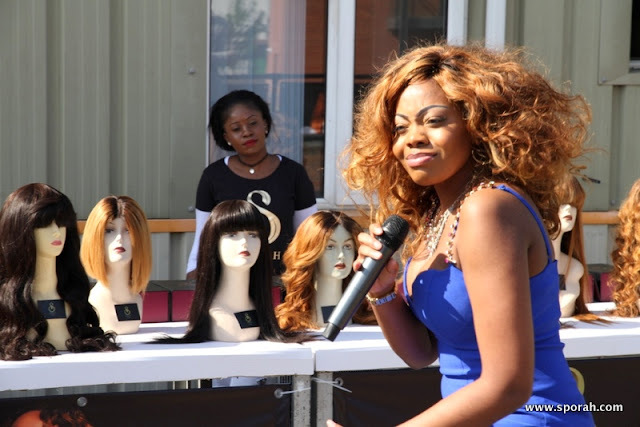 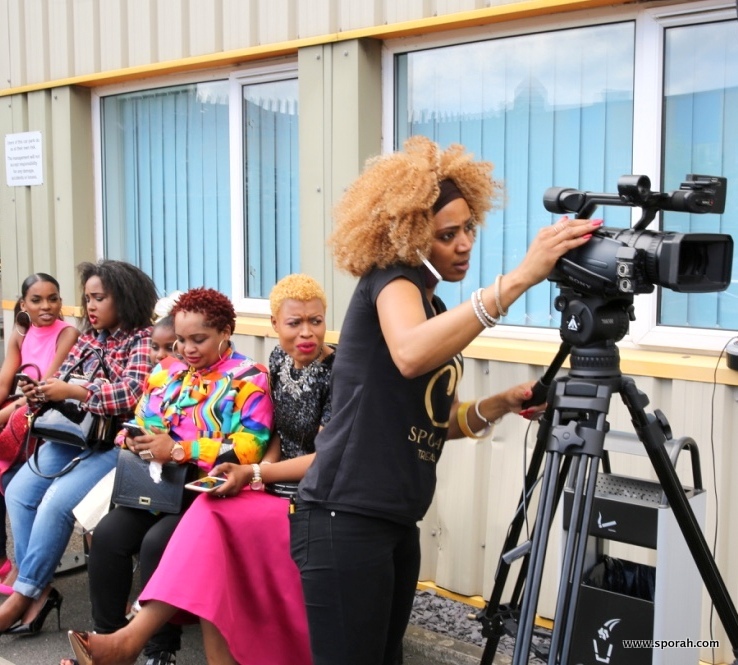 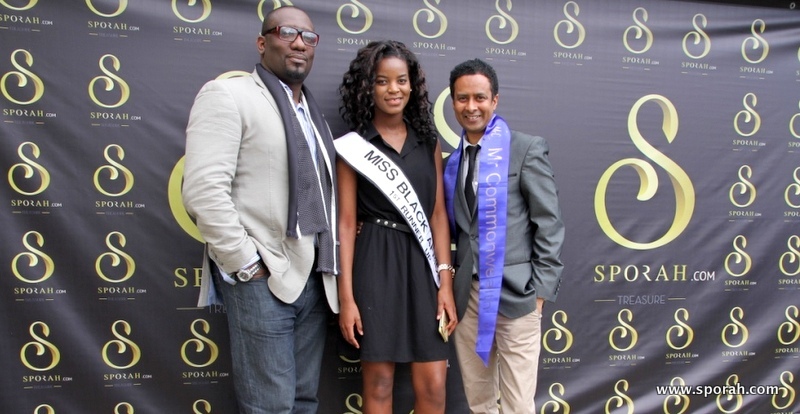 Why she decided to branch into hair business as a talk show queen. 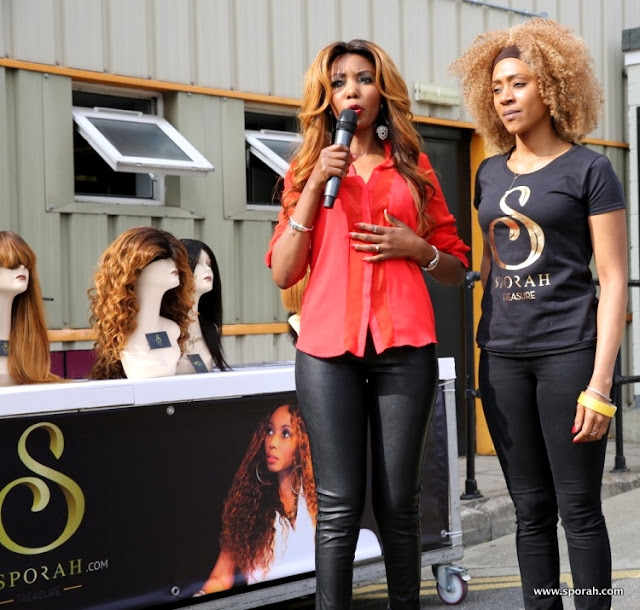 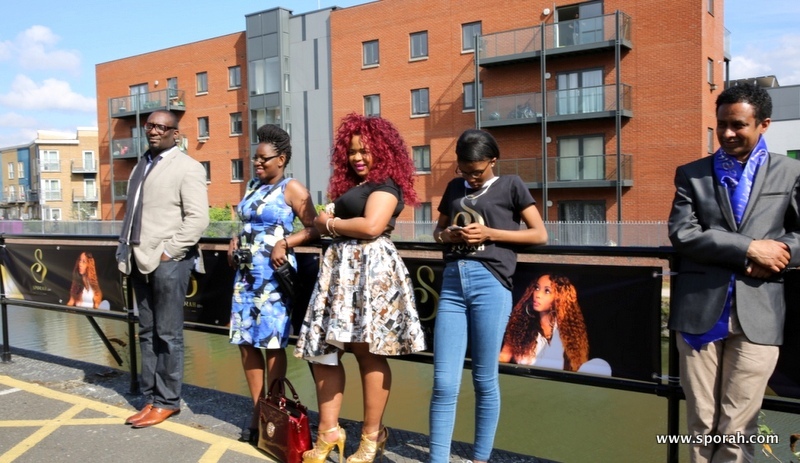 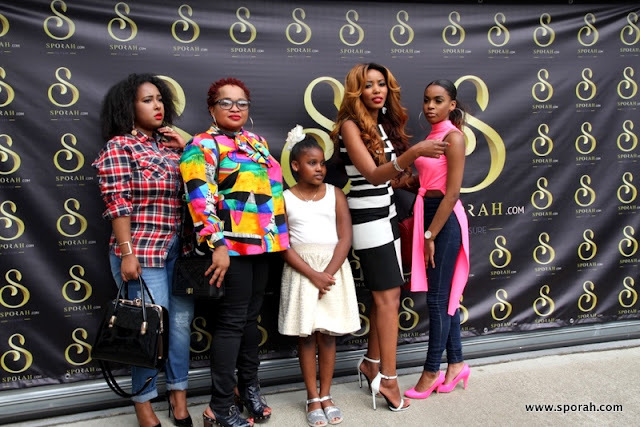 Sporah talked about the History of Sporah Hair, where the idea came from! 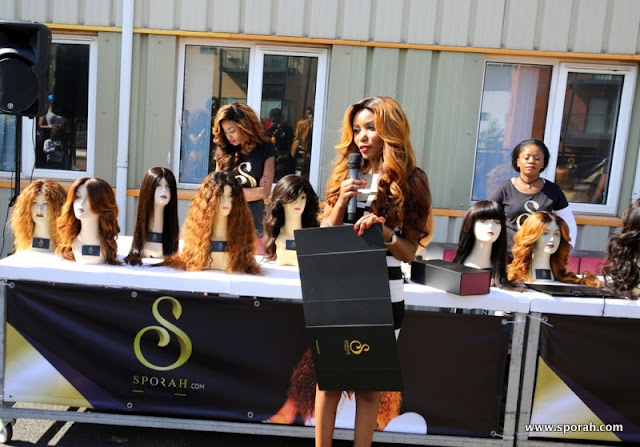 She added why she went on making her Wig line "Sporah Wigs"
Mrs Sam Mail "Irene Major" dint stop there, she wanted to know what is the different between Sporah Hair and other hair out there. Sporah talking about Sporah Treasure, she says the One thing she can guarantee people with ‪Sporah Treasure‬ is TOP QUALITY! 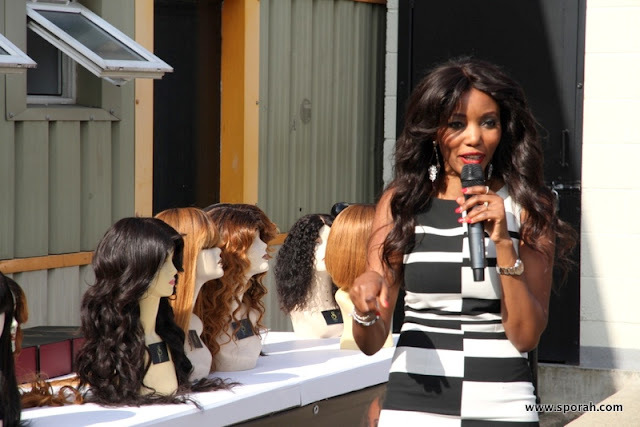 Luxury Hair‬, High Quality Wigs‬, High End Quality Hair‬. Quality is my number one Priority. 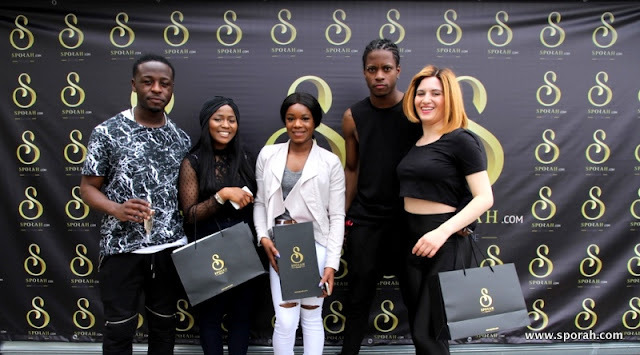 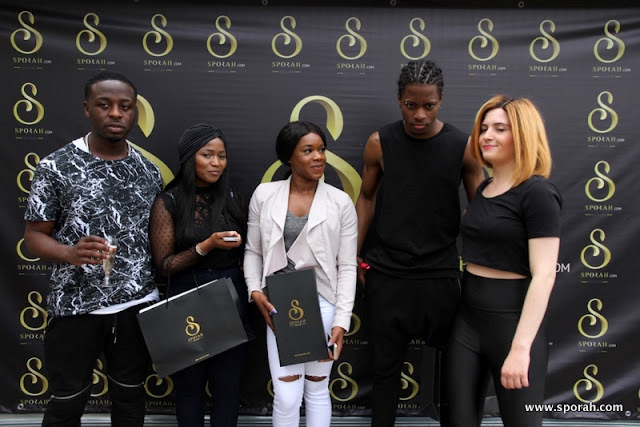 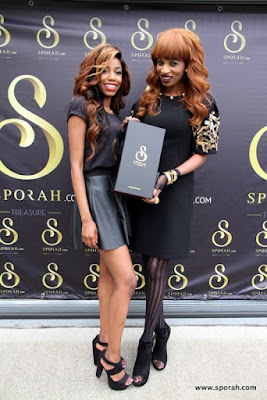 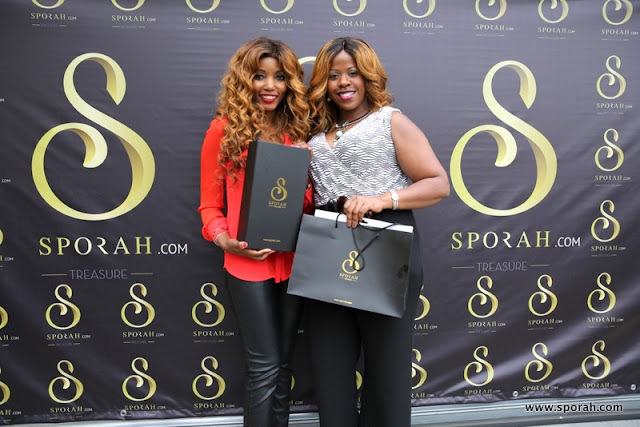 She states "WE DO NOT COMPROMISE WITH OUR QUALITY, We do not mind to spend time and money to ensure good quality delivery"
She added, High-End Luxury Hair is just a tip of the jewel that is Sporah Treasure. 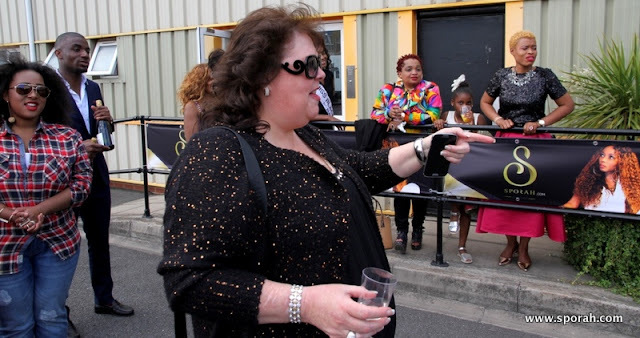 A unique line that cannot be attained anywhere else. 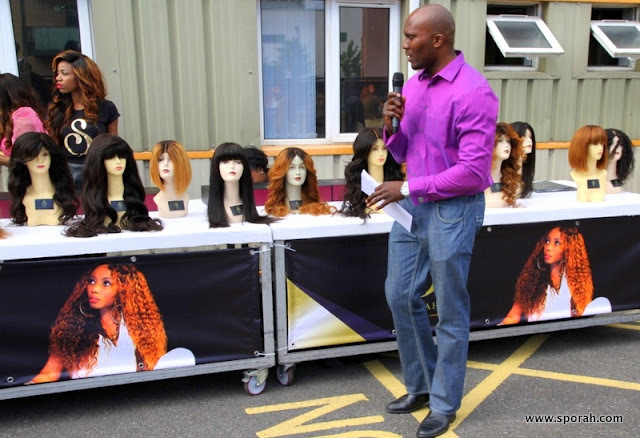 Our hair is raw unprocessed and of the highest quality, received directly from donors. 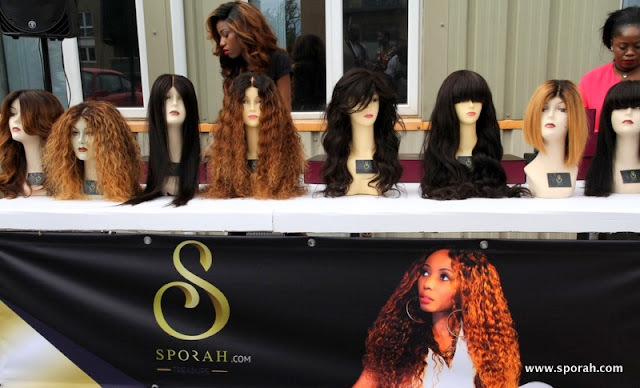 The hair you purchase from us has never undergone chemical processing. Sporah Treasure is amongst the most expensive hair, and that is what makes it the perfect crown jewel for your head. 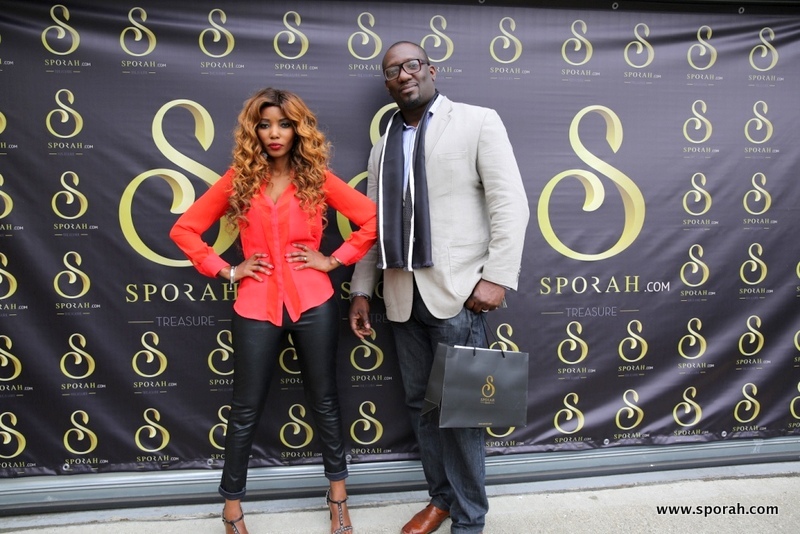 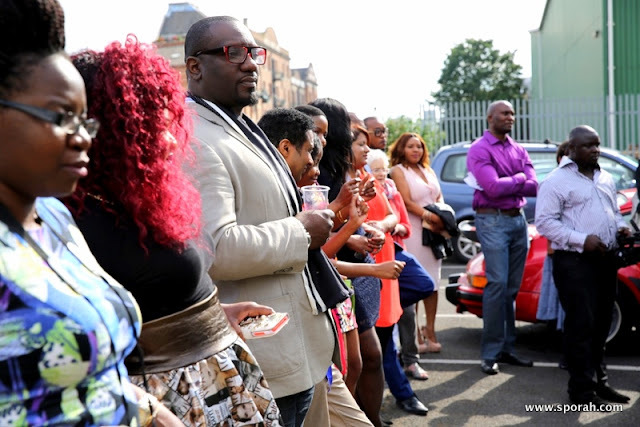 The crowed paying attention on what Sporah is saying about Sporah Treasures Brand. 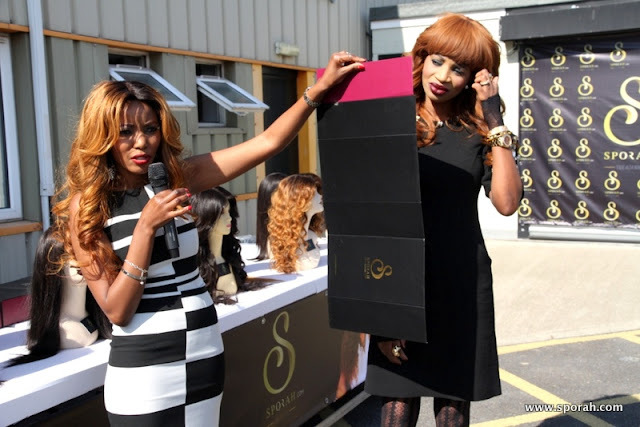 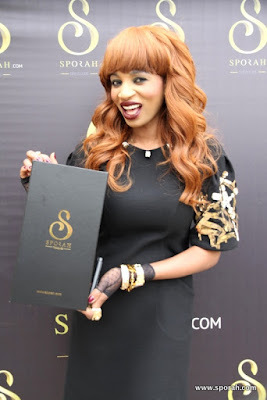 Irene Major had one more question WHY SHOULD PEOPLE PURCHASE SPORAH WIGS?? 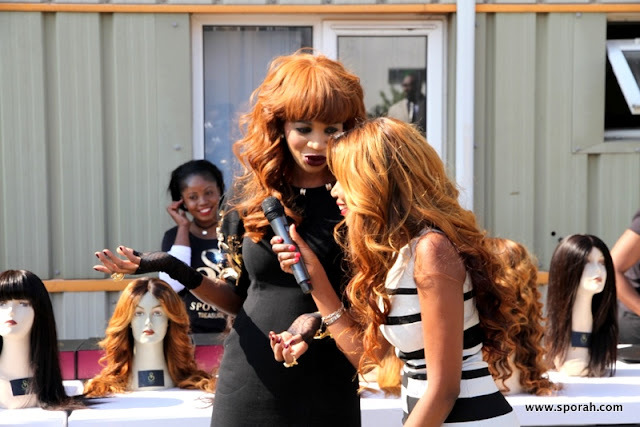 The talk show queen says that, we sell Finest Quality Handmade Custom Made Wig In Any Shade Or Length To Suit Your Style. 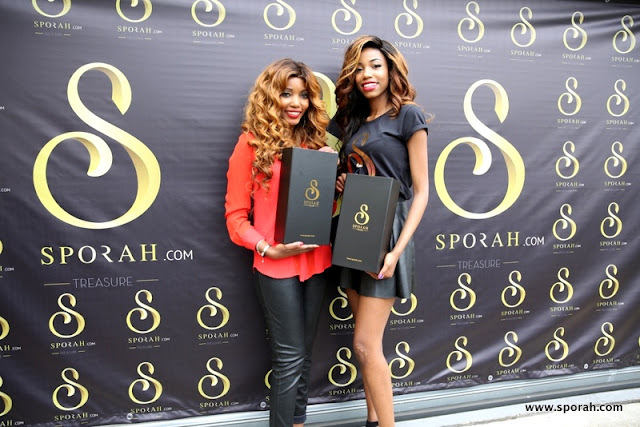 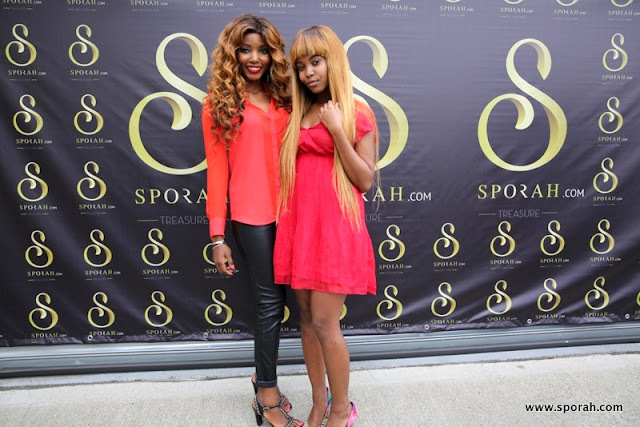 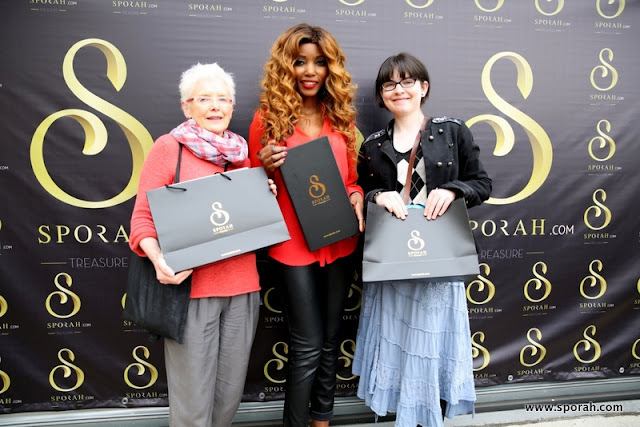 Sporah wigs are designed to be fashionable, stylish and fun. 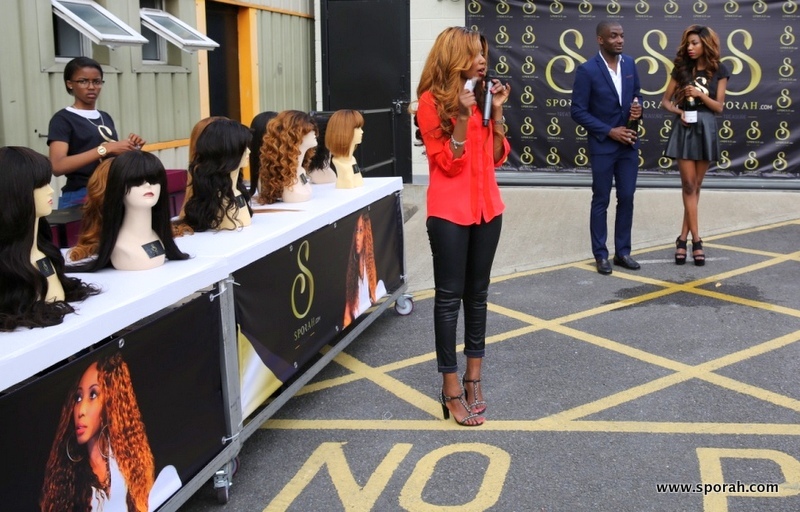 Each style is created with care, gives you the choice to change style and color at any time without harming your real hair. 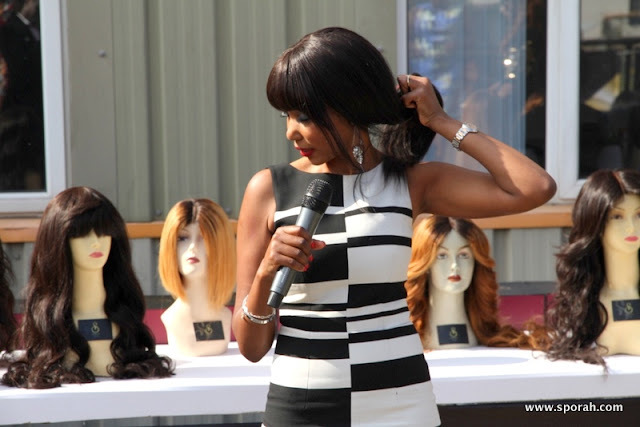 Almost every woman out there is longing for a natural look, classic hairstyle that is super smooth and easy to style. 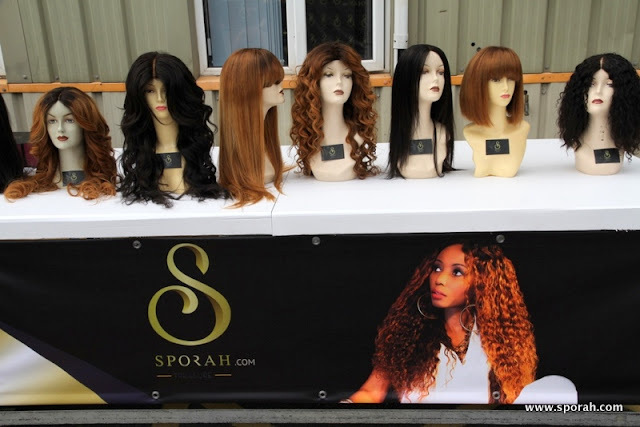 And that is what Sporah wigs are all about. 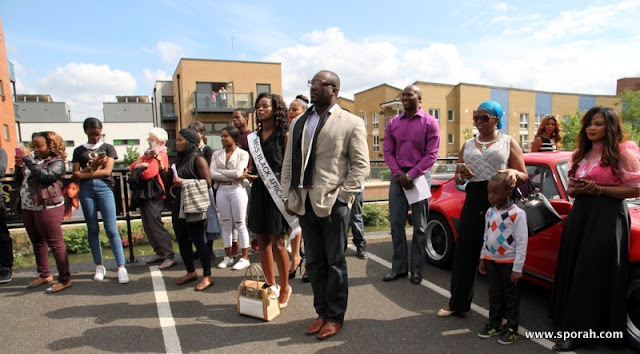 I Remember My Trip to this village... The 1st time and I fell in Love more with Hair. 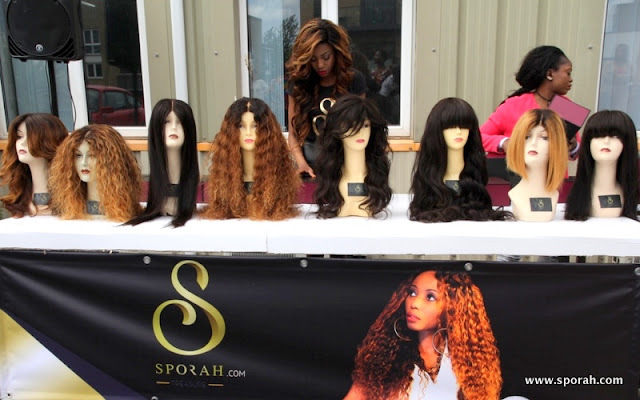 Every day, women visit this place to have their hair valued, cut off, and restyled. Some are bored with long hair, others need the money, and a few are raising money for charity. 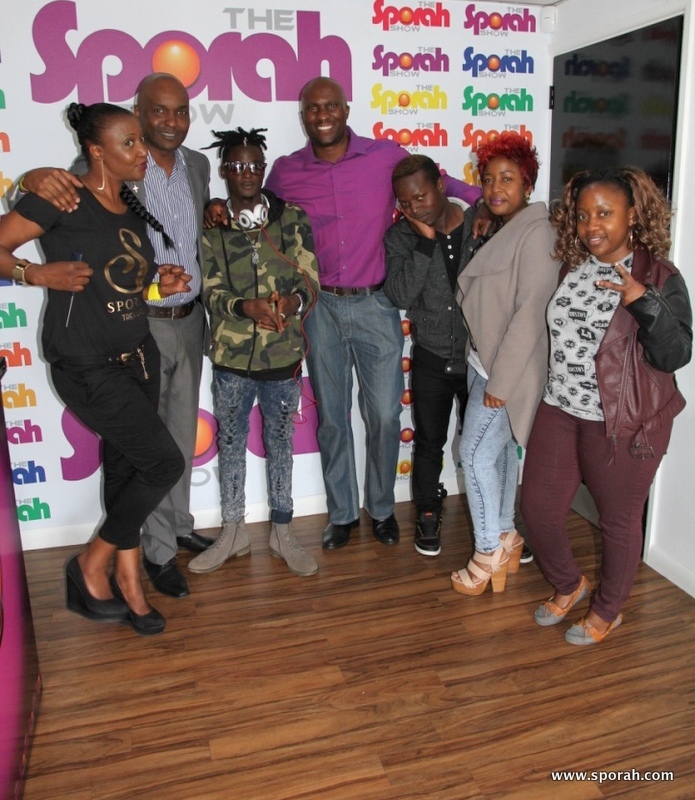 Kila siku wanawake wanakuja hii sehemu kukatwa nywele zao kwa sababu mbalimbali, wengine ni shida ya hela, wengine wamezichoka tu, wengine ni biashara Kabisa yani wanafuga nywele zao kwaajili tu yakuuza ect. 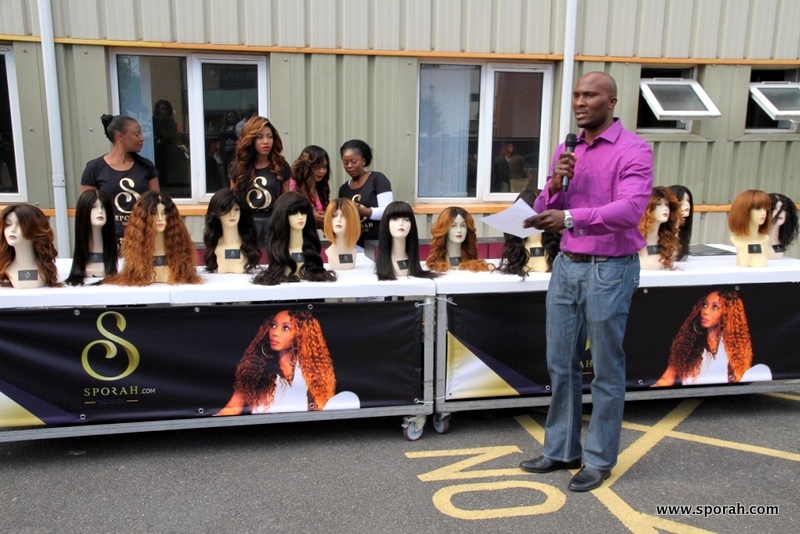 INDEED HAIR IS THE TREASURE TO A WOMAN! 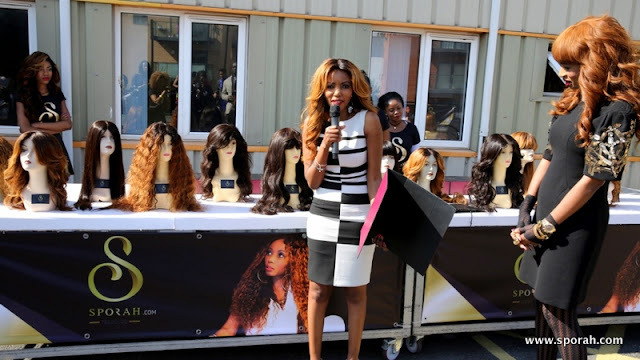 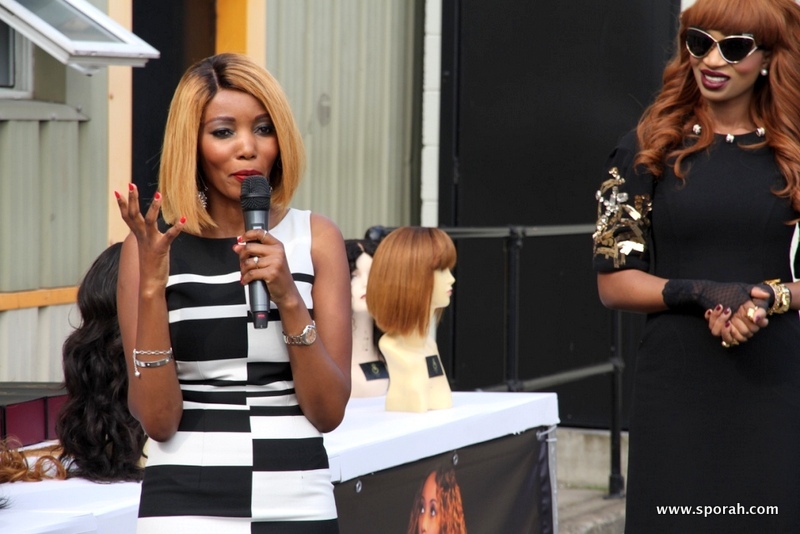 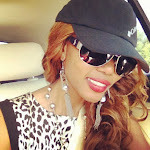 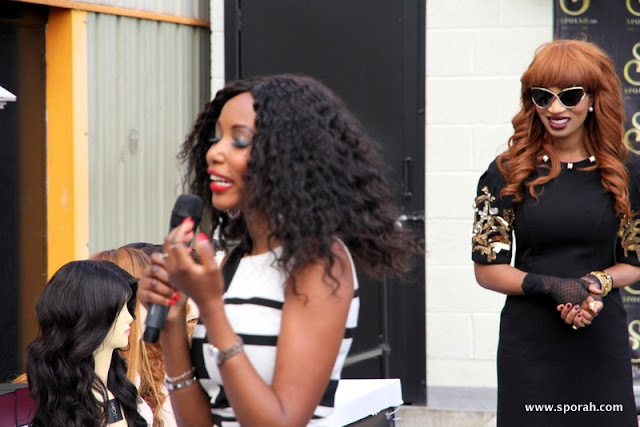 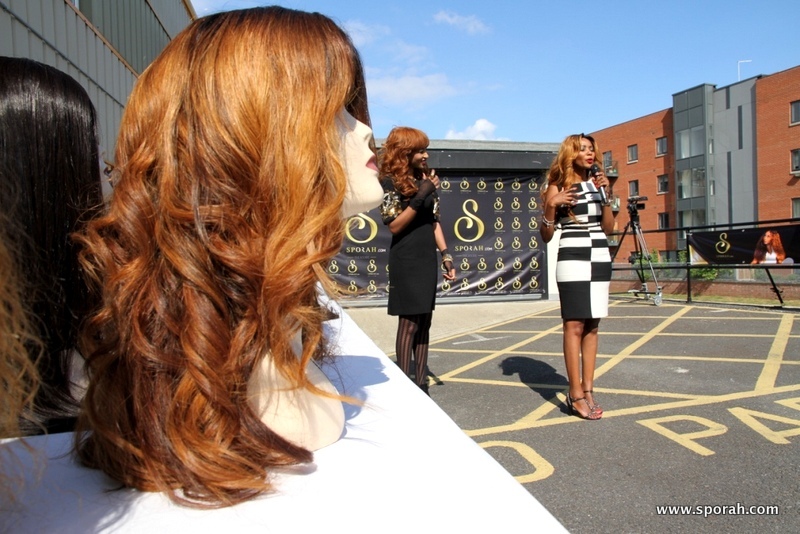 She addresses the importance of packaging especial a wig that is 100% virgin human hair. She added, for hair safety reasons, our wigs are packed in reusable magnetic boxes, very easy to unfolding and refolding, perfect for keeping the Wigs safe and tidy. 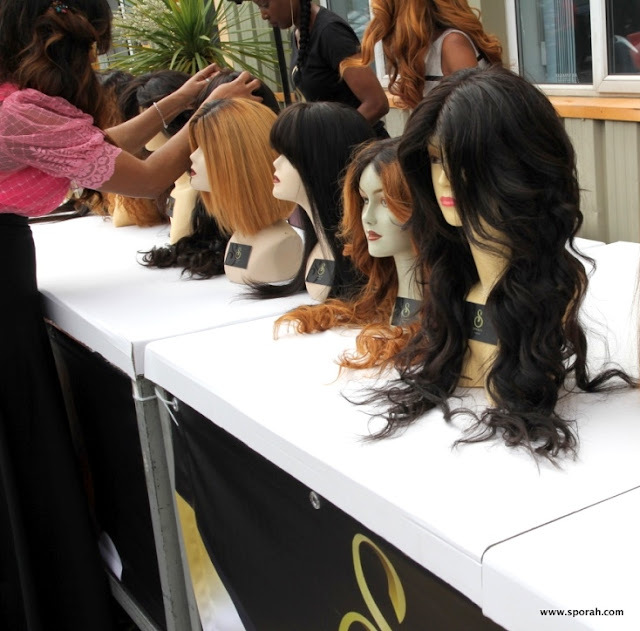 Can also be put together in seconds and easily reused. 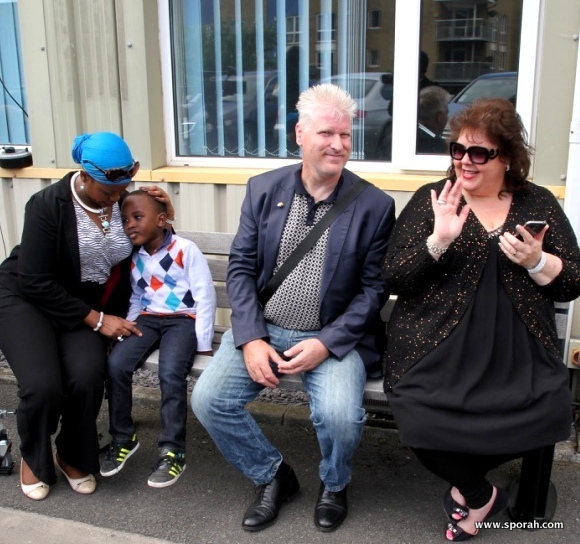 Super light and perfect for traveling. 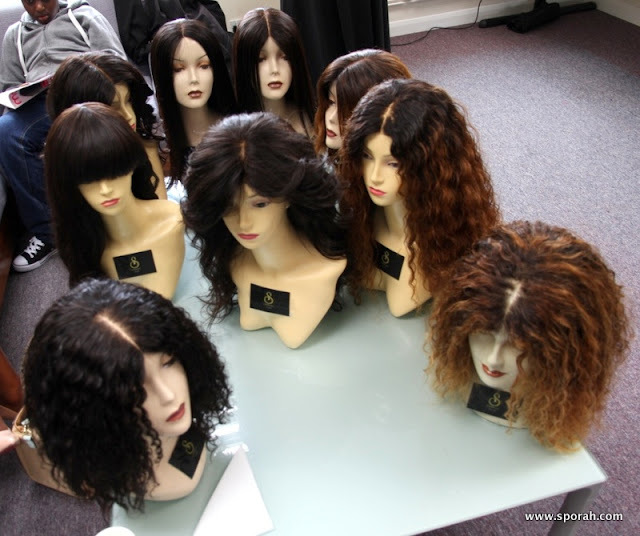 AND REFOLDING THE WIG BOX. For hair safety reasons, our wigs are packed in reusable magnetic boxes, very easy to unfolding and refolding, perfect for keeping the Wigs safe and tidy. 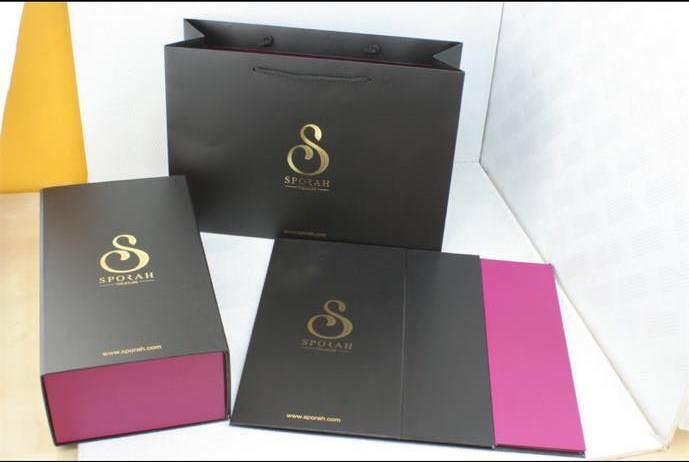 Can also be put together in seconds and easily reused. Super light and perfect for traveling. 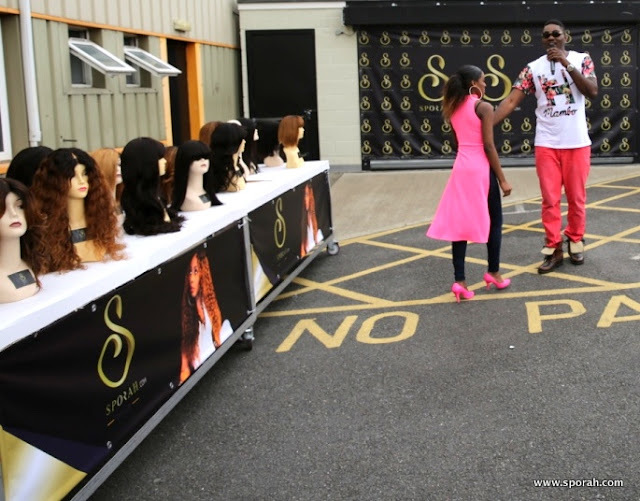 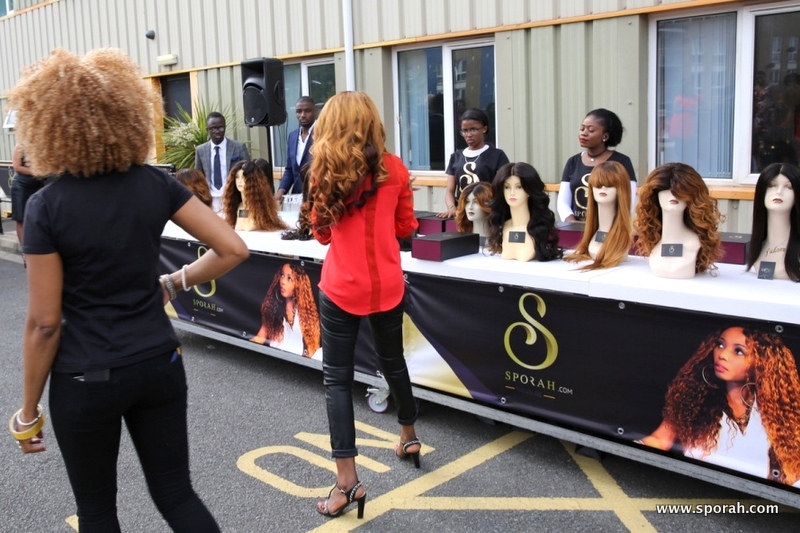 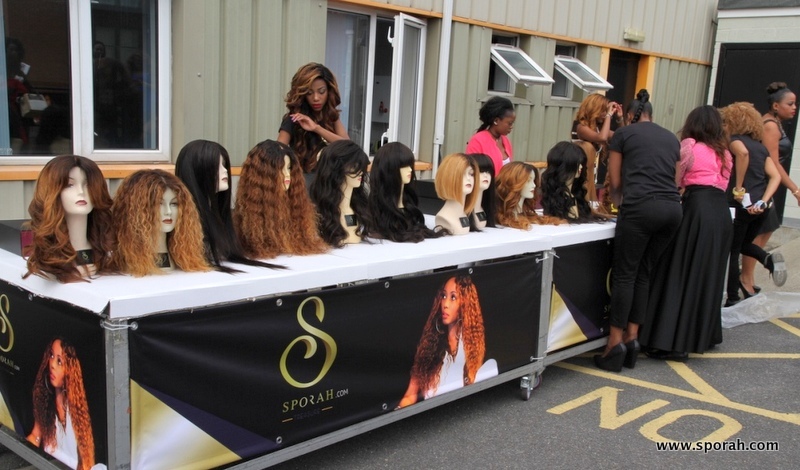 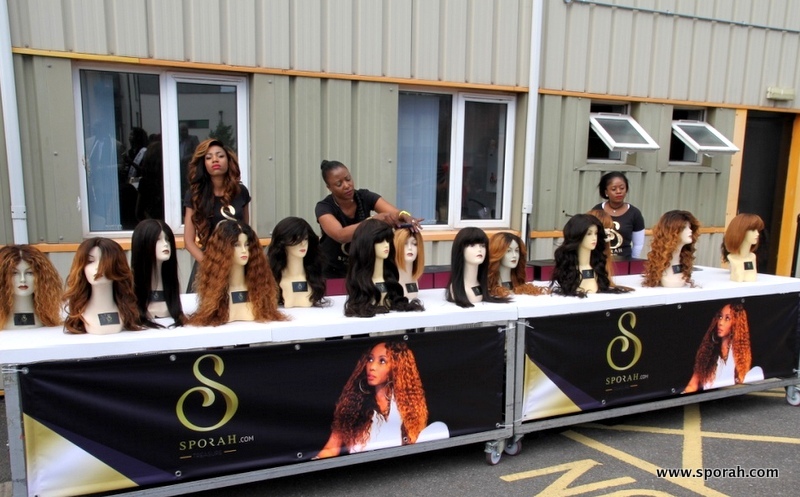 Team Sporah making sure all the wigs are nice and tidy. 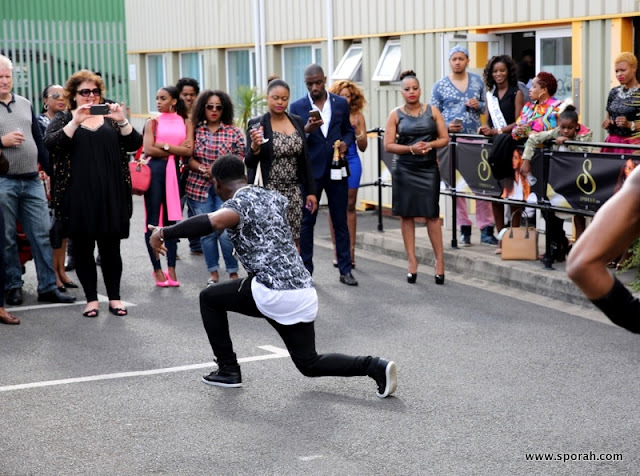 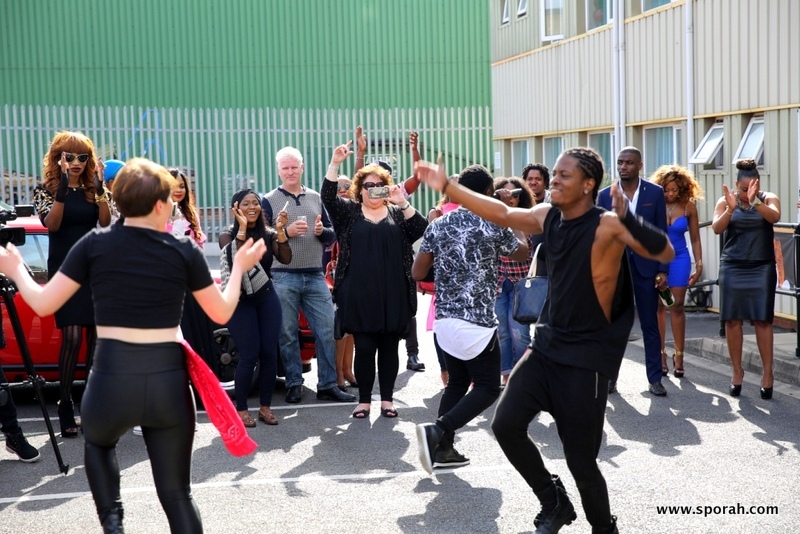 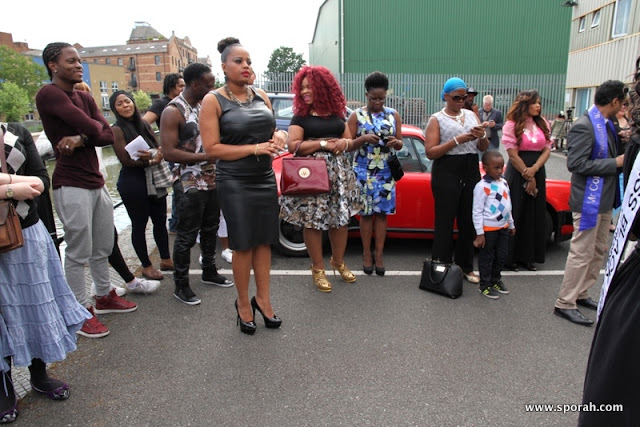 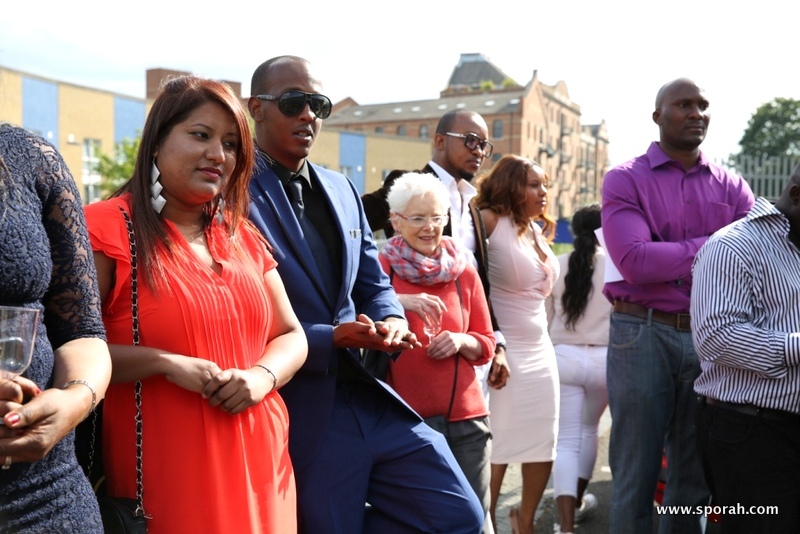 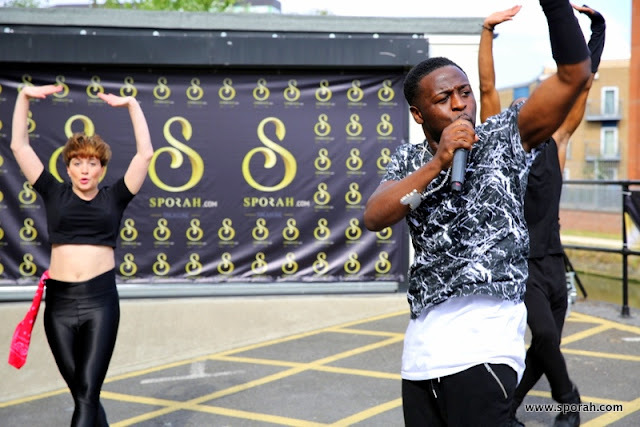 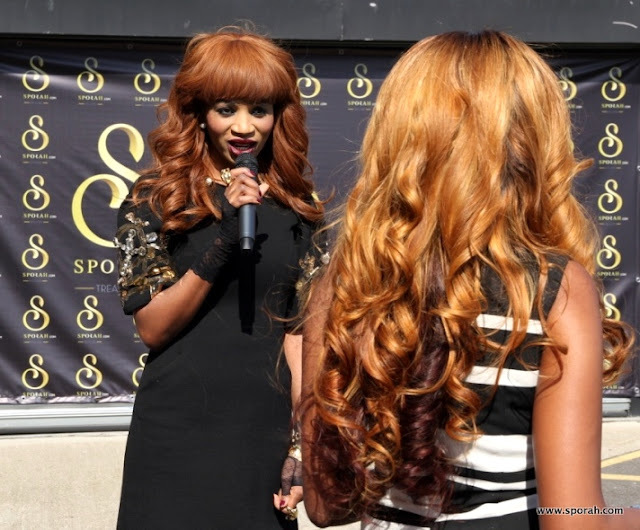 London based, singer, song writer and a performer "Ms. Harmony" doing what she does best. 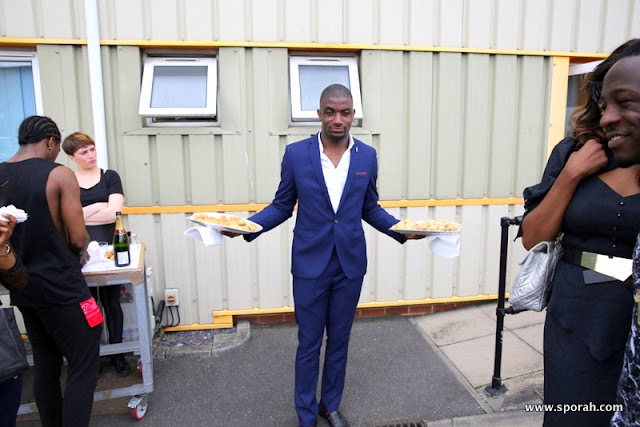 THE MOMENT EVERYONE WAS WAITING FOR! 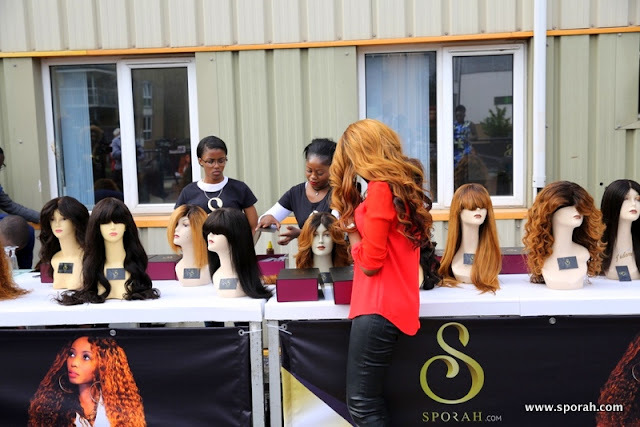 Sporah tried on a few wigs to show everyone how easy and quick it is to put on and take off Sporah Wigs. 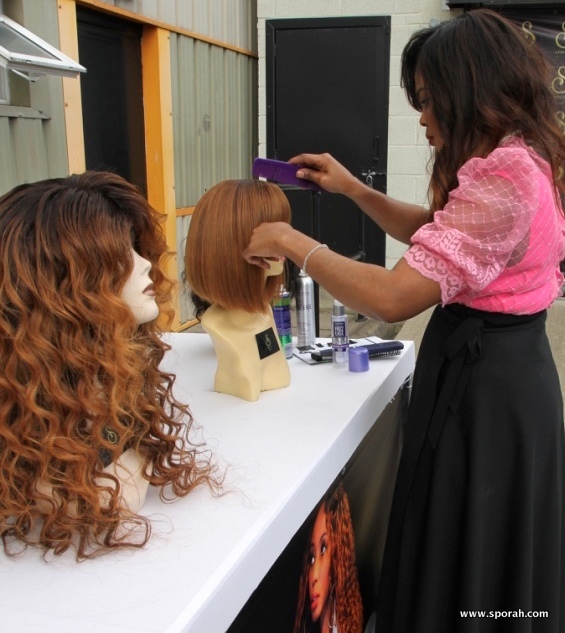 "It's super easy" she says. She says, 2 minutes is more than enough to make your wig look as natural and realistic as possible. 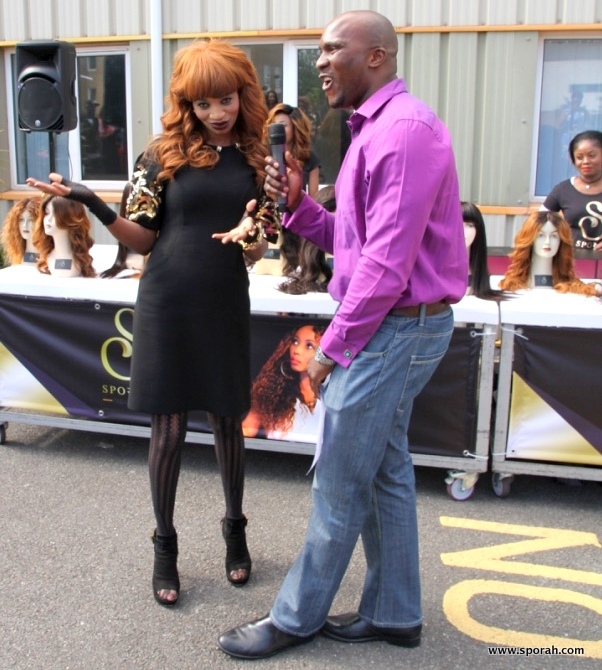 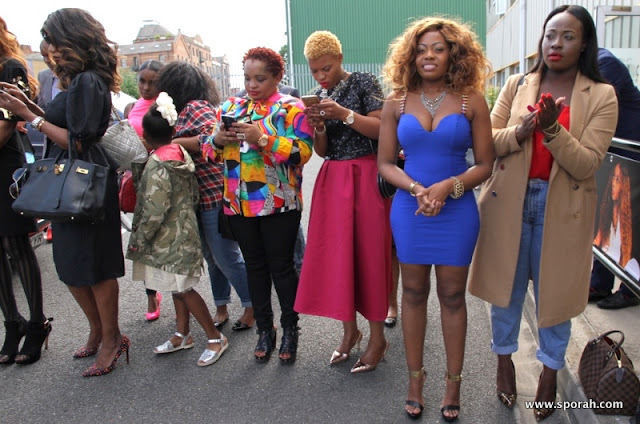 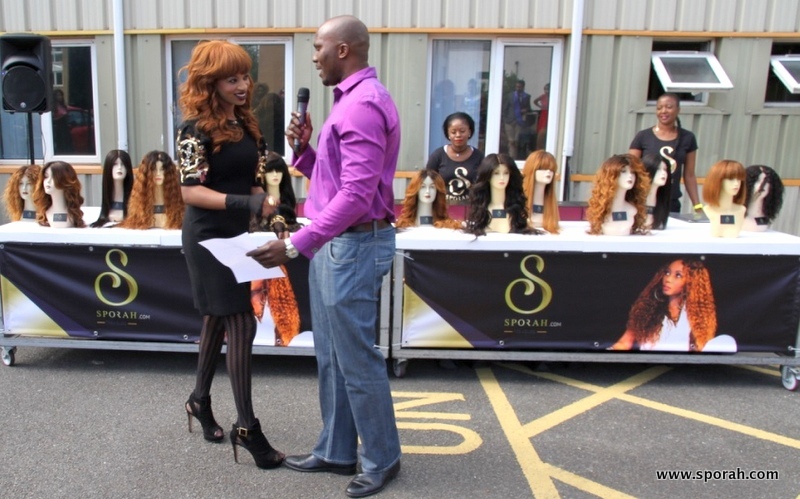 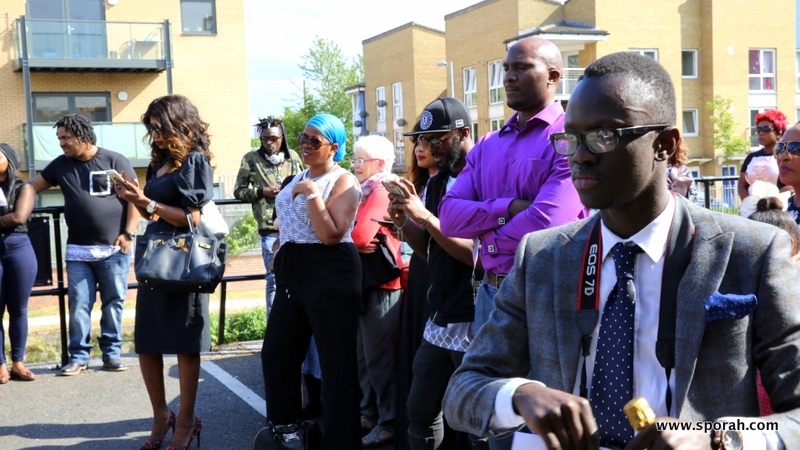 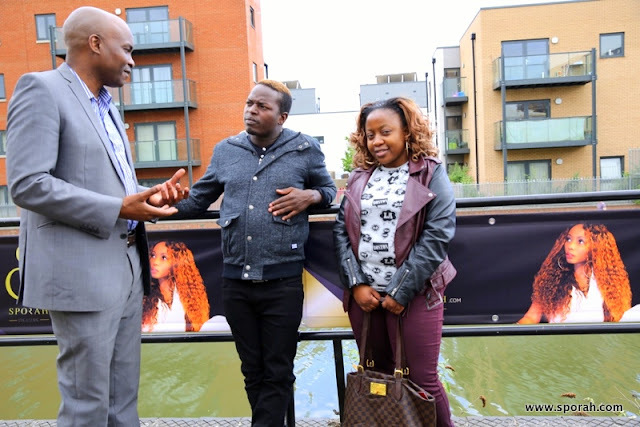 Sporah Was Taking Questions Concerning Wigs and hair extensions. 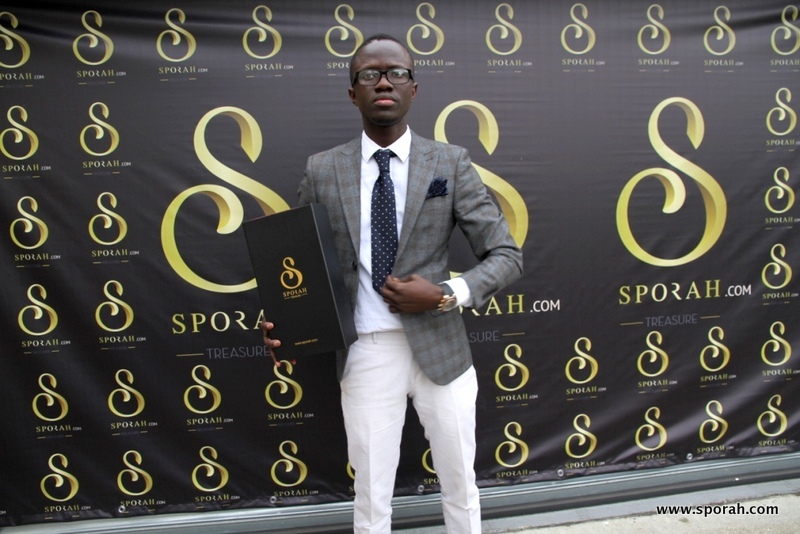 THE SPORAH TREASURE Is High-End Luxury Brand. You definitely get what you pay for. 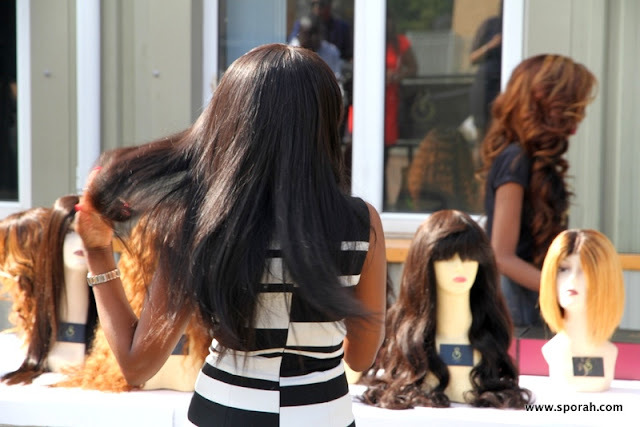 Our hair is raw unprocessed high quality, cut directly from donors. This means that the hair that you purchase from us, has never been chemically processed. These hair may be among the most expensive hair, but they surely are worth the price that you have to pay for them. 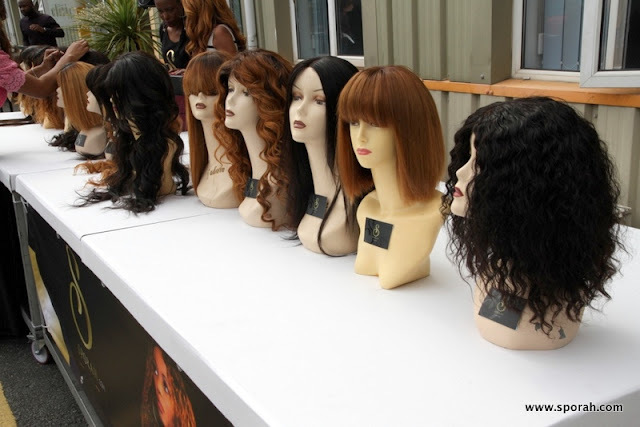 💕Wigs are awesome, super fun, and sometimes necessary, accessories. She said. 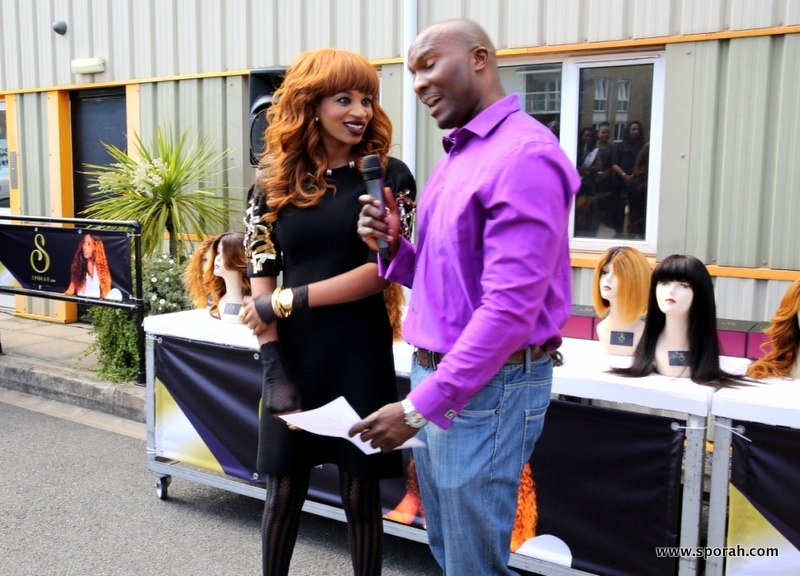 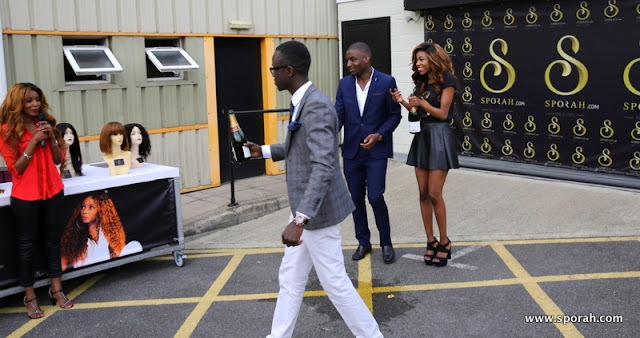 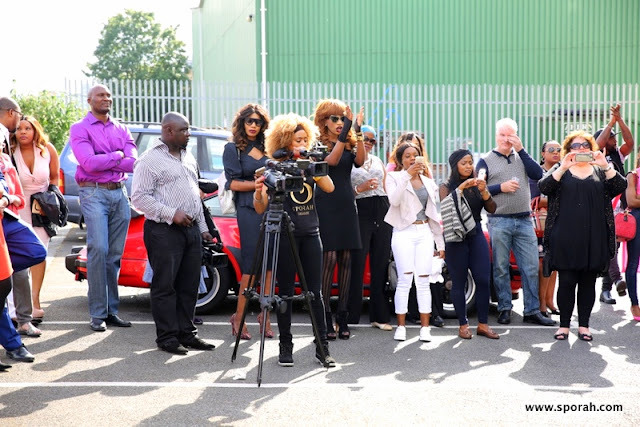 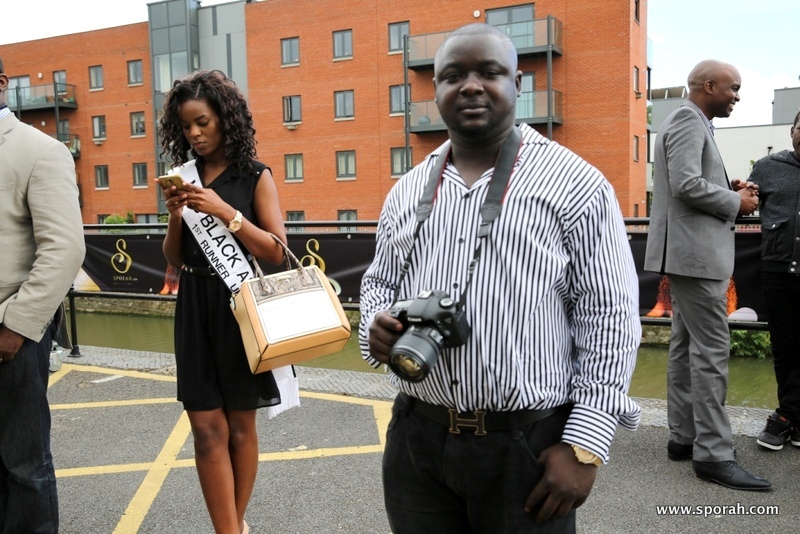 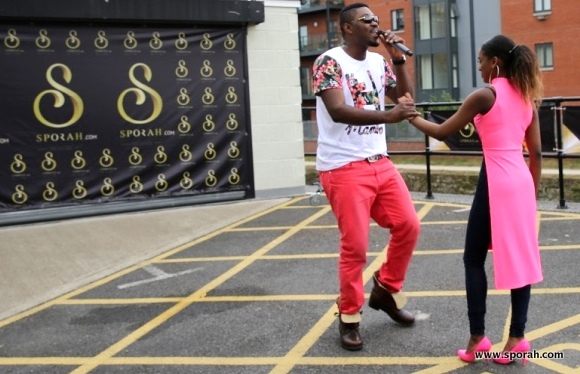 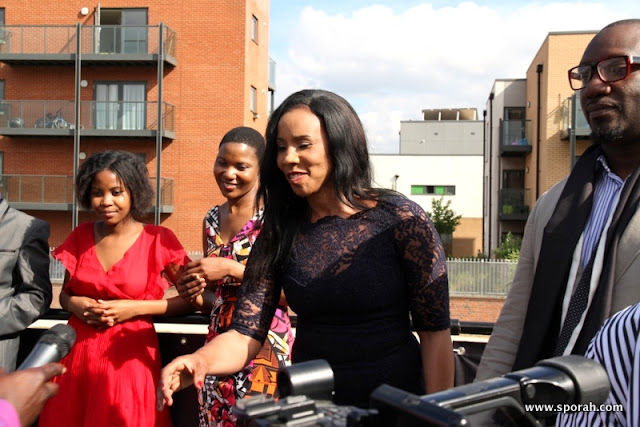 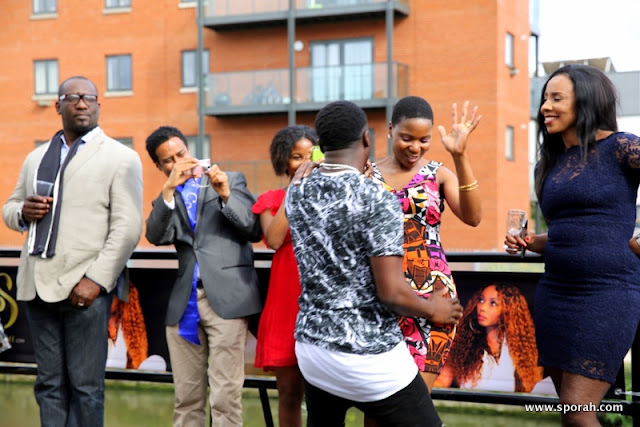 ANOTHER LIVE PERFORMANCE Award winning Voxafrica UK Sports 360 Presenter Mr. Adesope Olajide and model Irene Major. 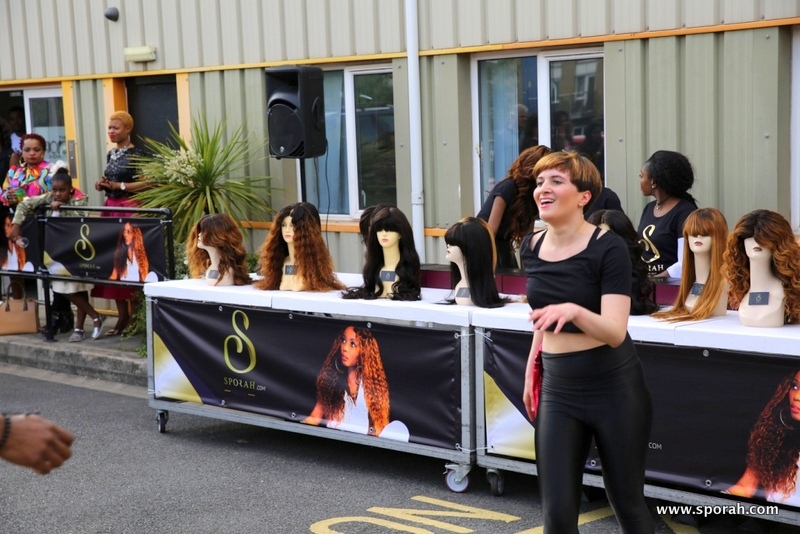 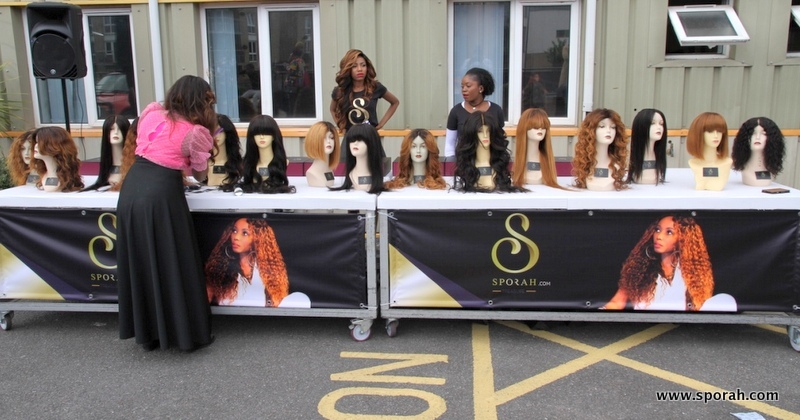 While performing, people were allowing to feel and touch the wigs some had to try to get the feel of Sporah Treasure. 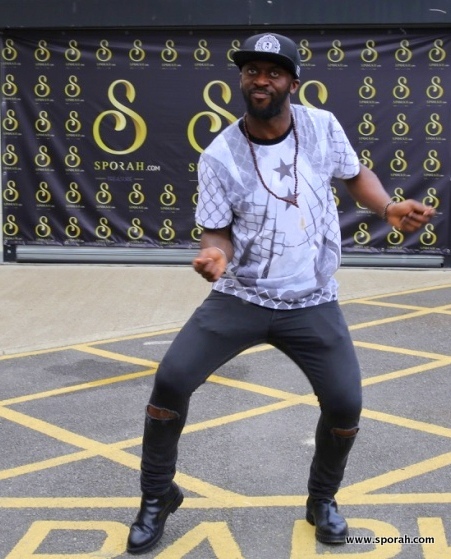 He's name is Xtian Shengen doing what he does best. 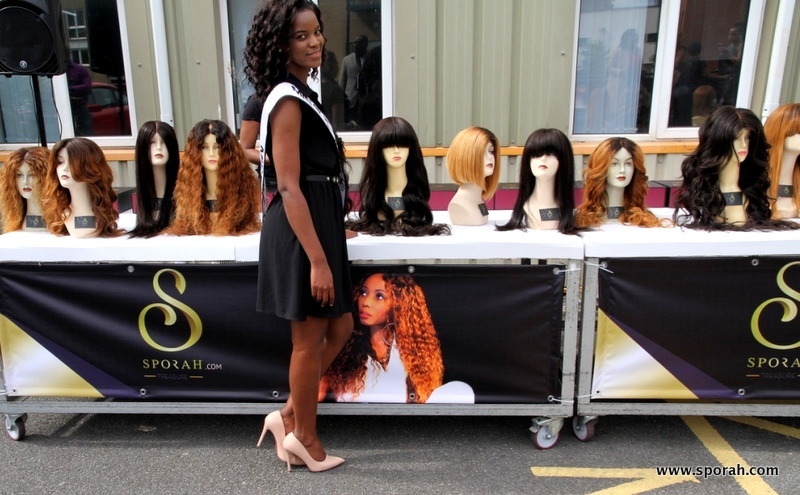 Feel and touch the wigs. 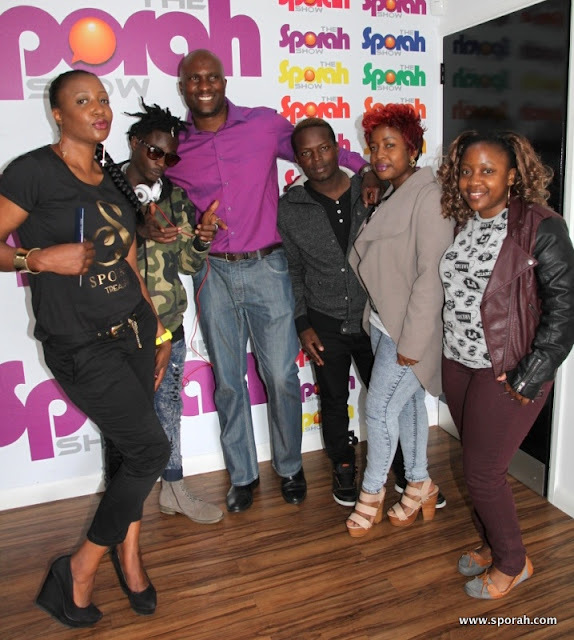 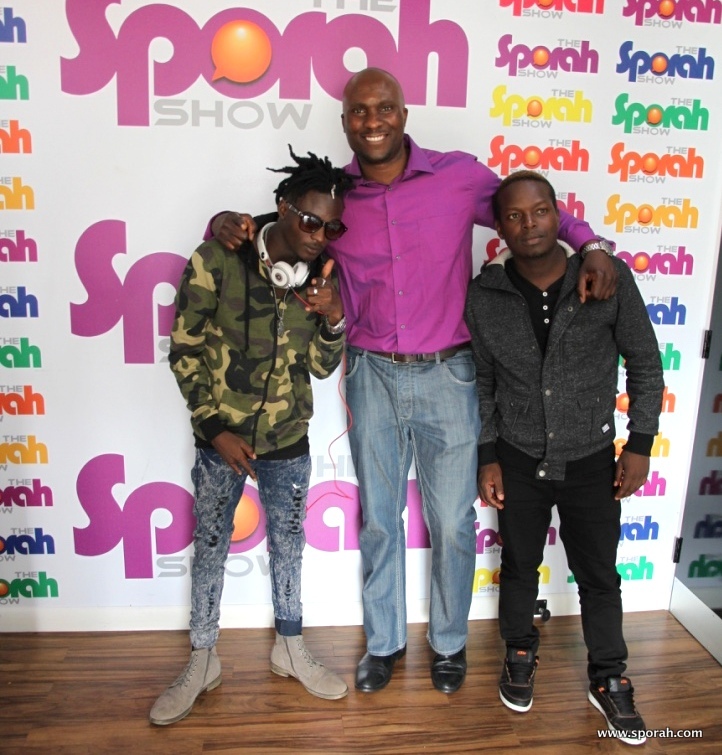 Team Sporah always on point! 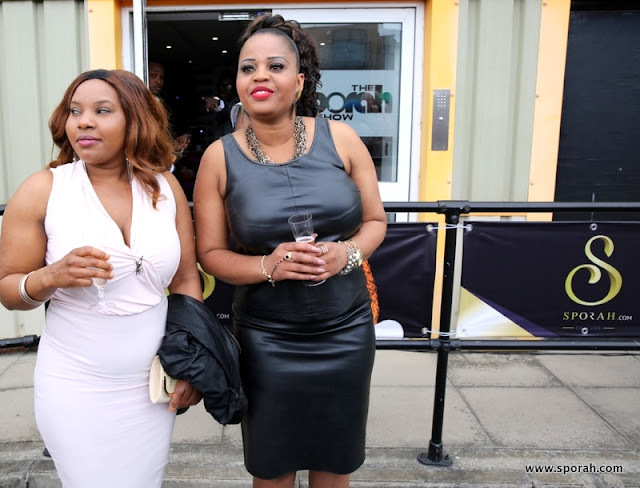 100% LATEX GIRDLE WAIST FOR LADIES. They talked about how it feels and how it works on them. The Hot shapers rubber bodysuit slimming shape-wear for women is a must have. 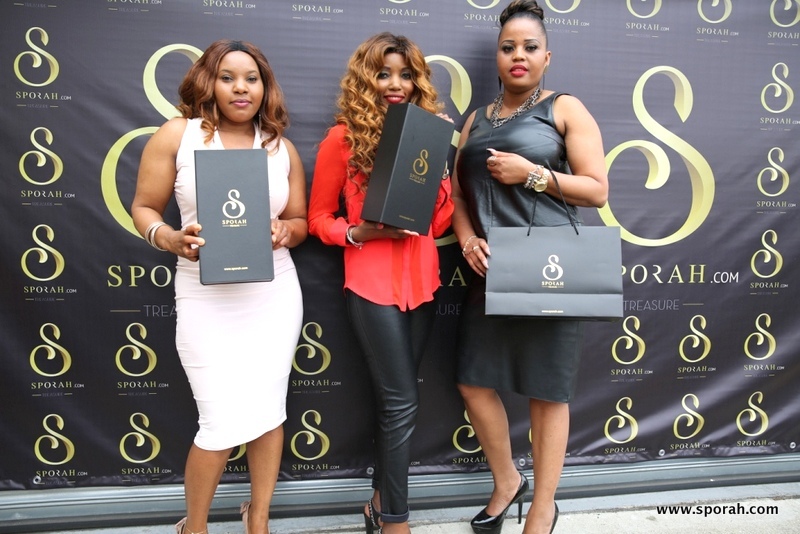 2015 top quality Women Rubber Corsets, Body Shaper Bustier Sport, Strong Compression with Adjustable Straps. 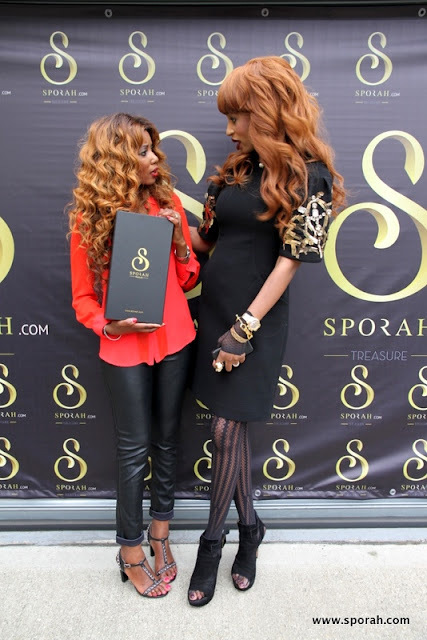 Boned Waist Trainer Latex. 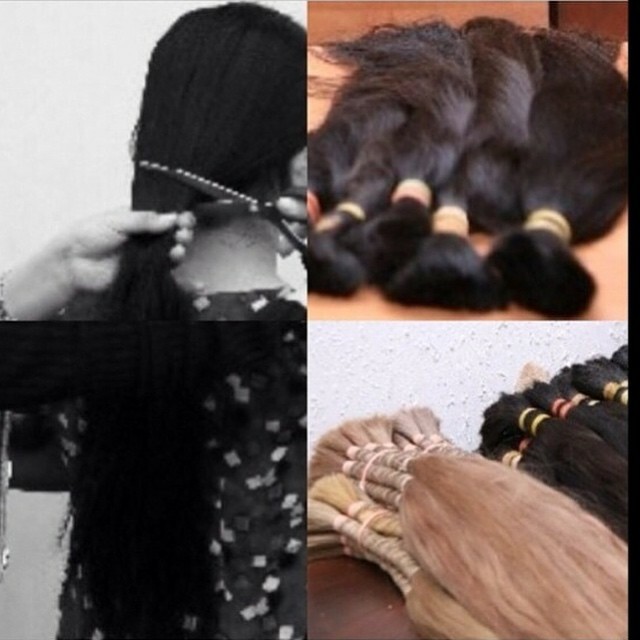 Every woman has the right to look beautiful. 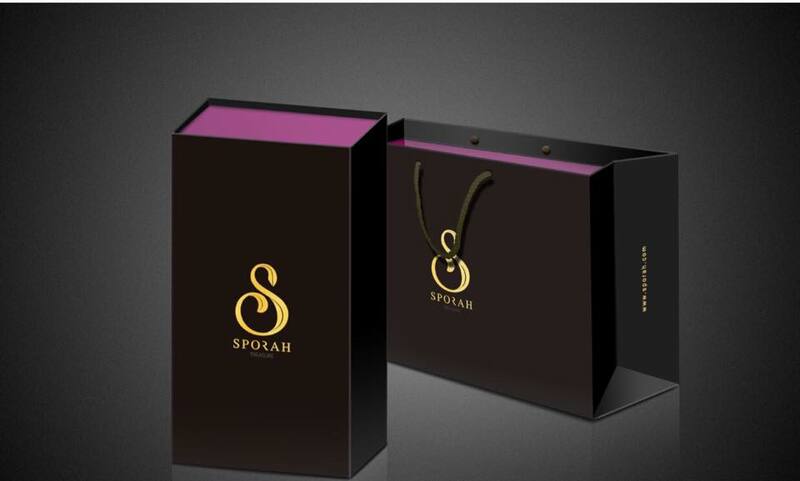 women Paillette Strap Slips Brand Push Up Bikini - See more at: http://www.sporah.com/product/artificial-breasts-lift-invisible-tape. Instant Artificial Breasts Lift is everywoman's best friend. 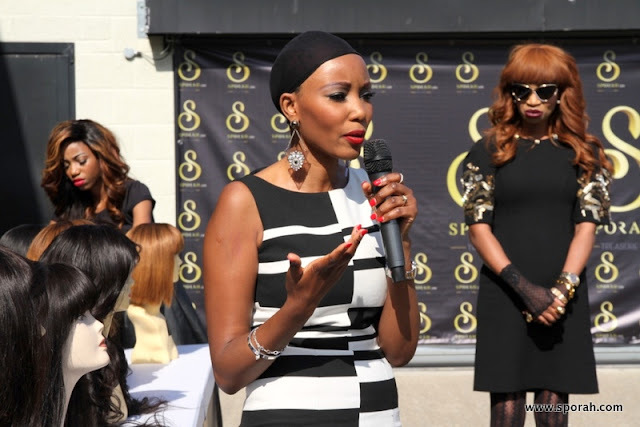 Its time for every woman to look good and feel great. 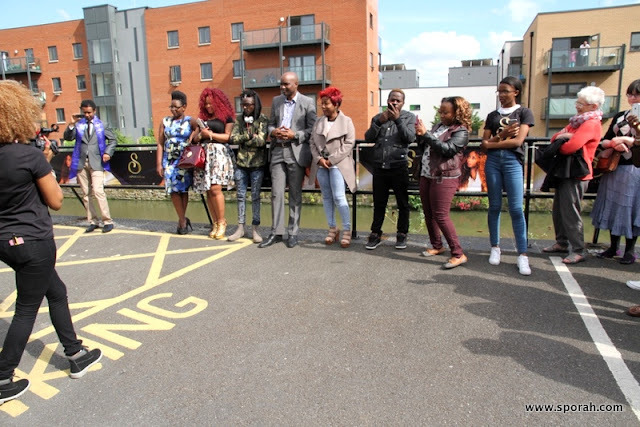 SPORAH GIVING SPECIAL THANKS TO EVERYONE WHO TURNED UP! 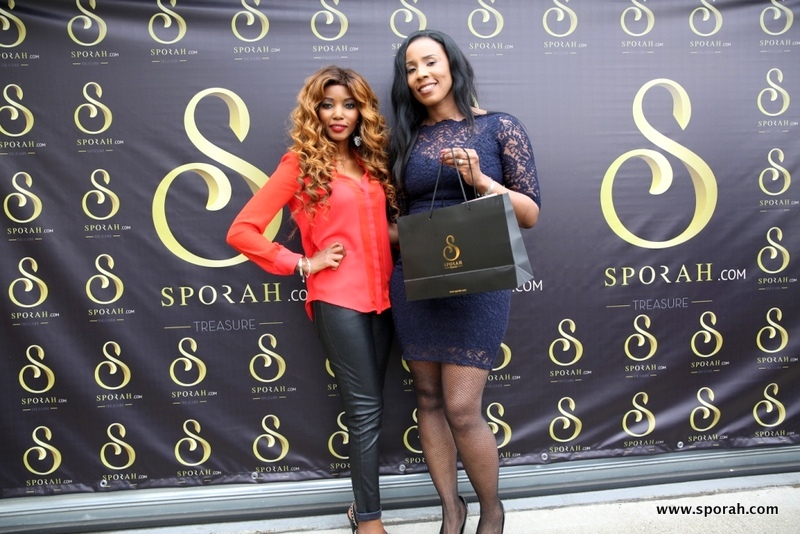 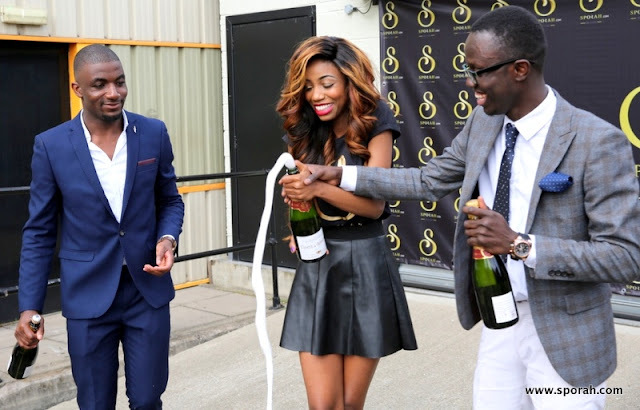 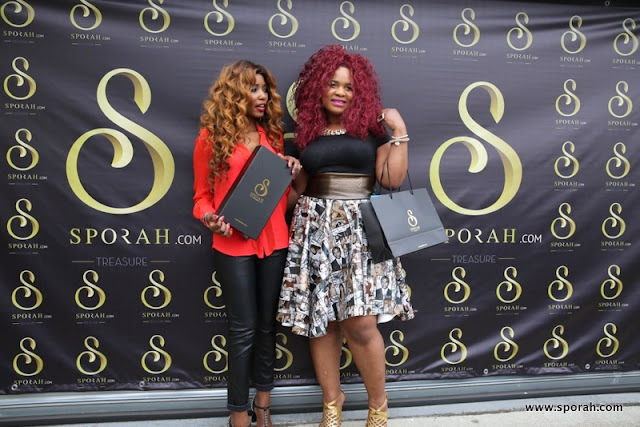 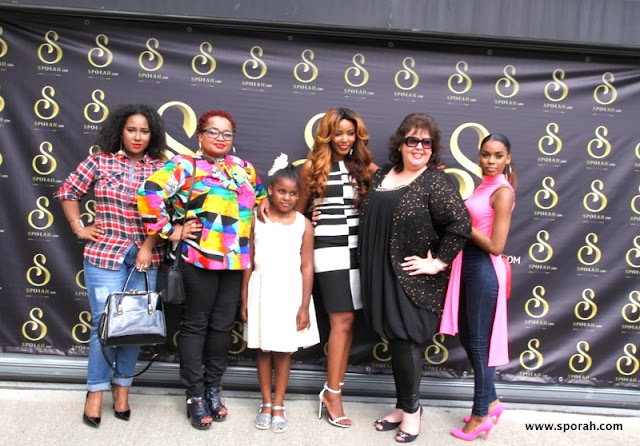 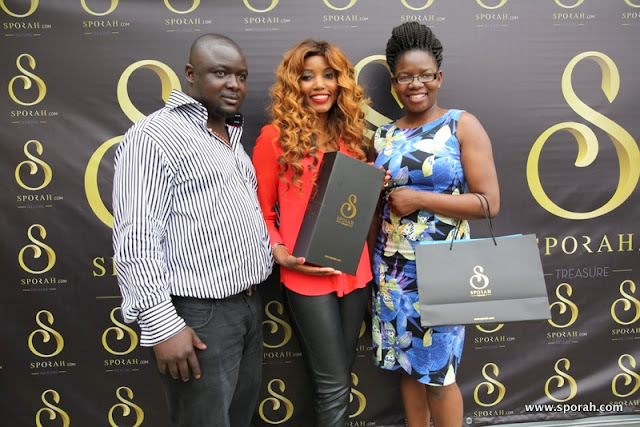 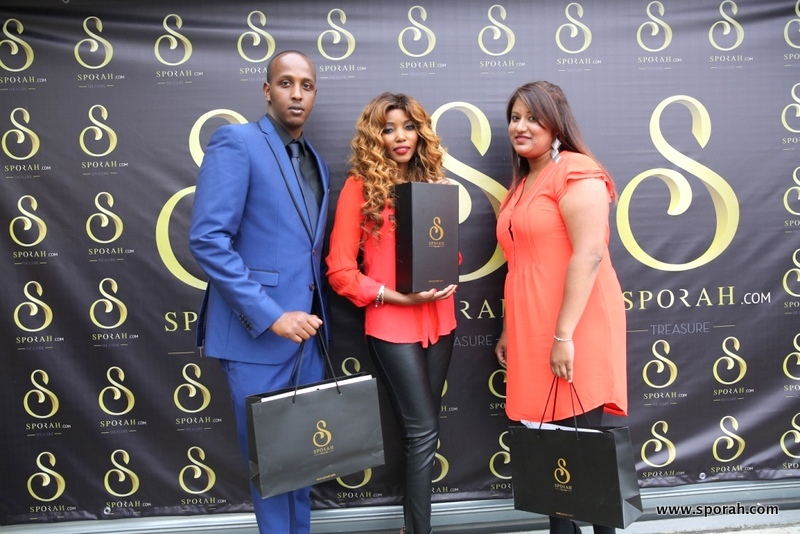 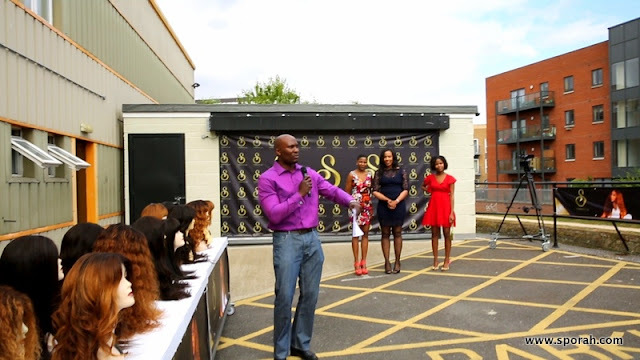 Sporah expressing her gratitudes for everyone who came to support the grand launch of Sporah Treasure, brand new, premium quality hair. 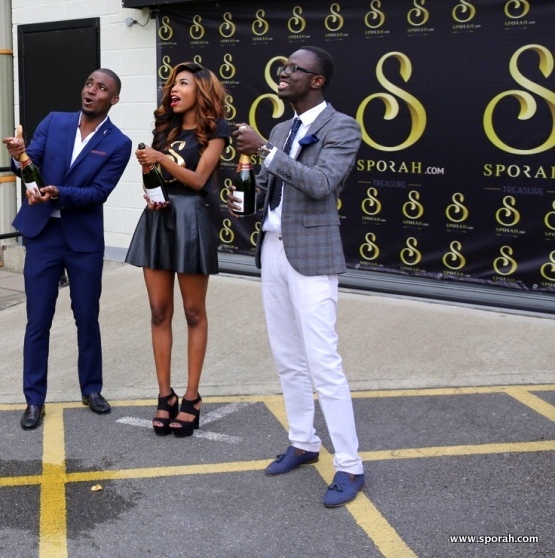 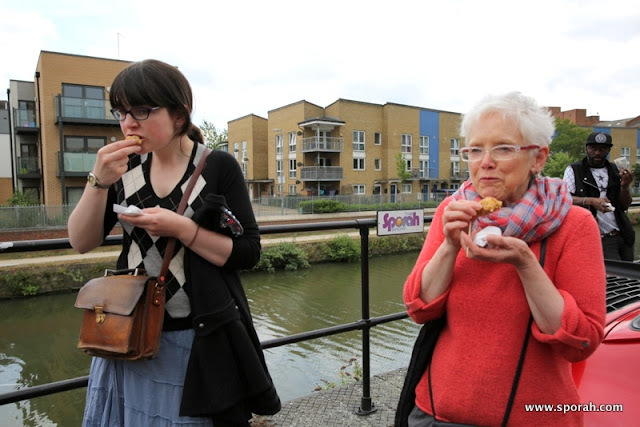 Team Sporah was making sure that everyone is having something to eat! 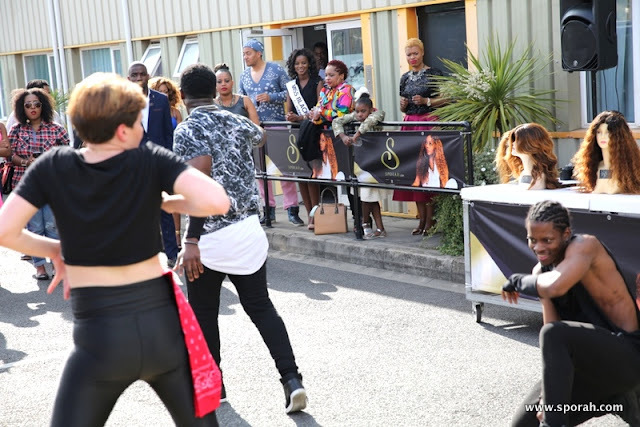 AND IT WAS ANOTHER FINAL KILLER PERFORMANCE FROM VALENTINE. 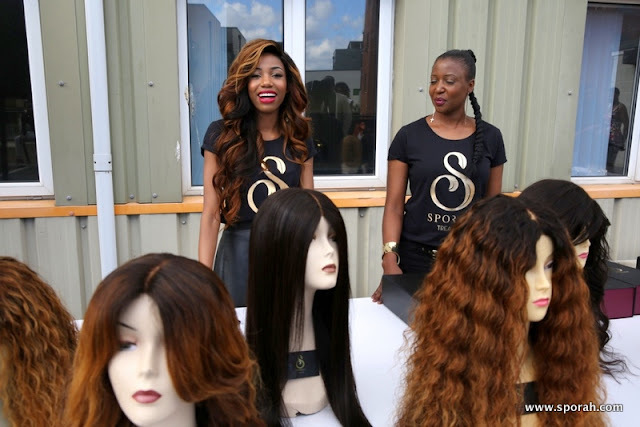 "How does it feel wearing Sporah Wigs"
SOUTH AFRICAN Beauty, British rapper, singer, model and professional dancer Noni Zondi. 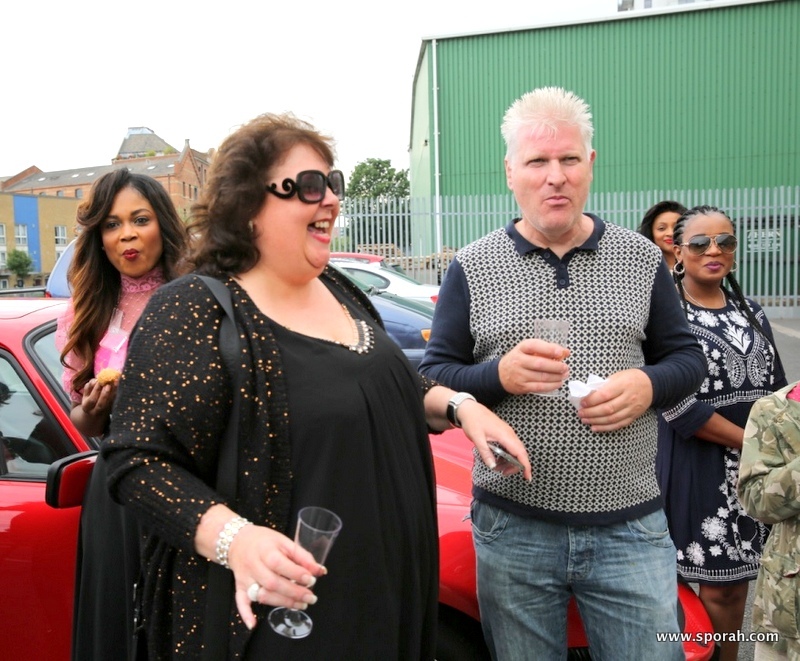 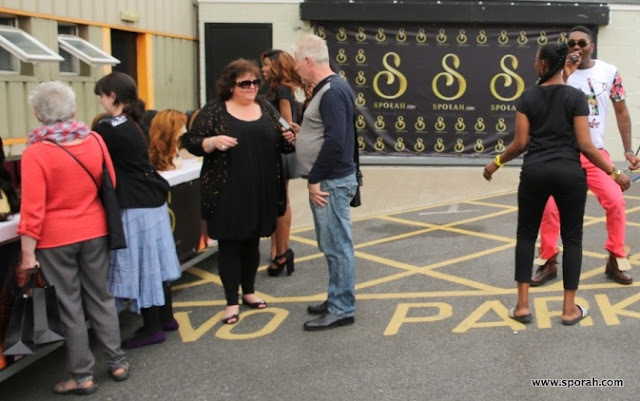 Its Anne: The CEO of THE LOUNGE Hair & Beauty Studio, One of the UK's most famous hairdressers, celebrity stylists and session stylists from Hairdresser! 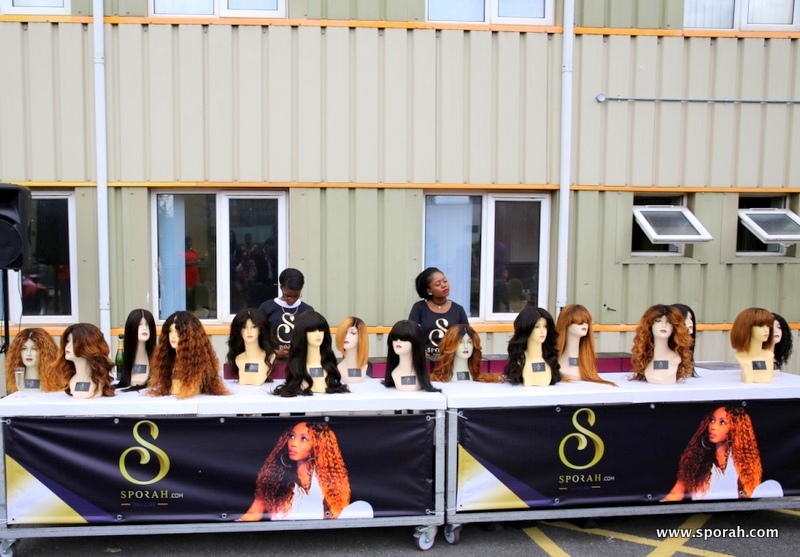 Specialising in Afro & European Hair Extensions, Cornrow, Bonding, Cutting, Relaxing, Braids etc. 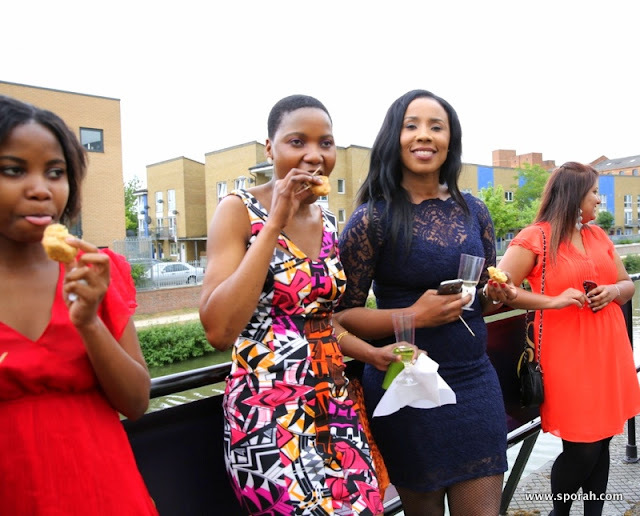 Have you visited our new website yet? 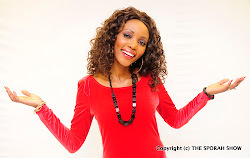 UMESHATEMBELEA WEBSITE YETU? 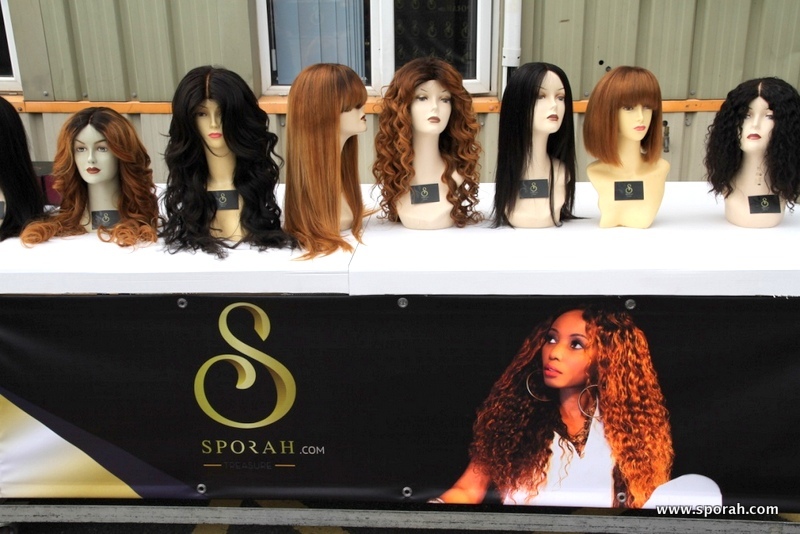 WWW.SPORAH.COM We have all types of Real human hair.